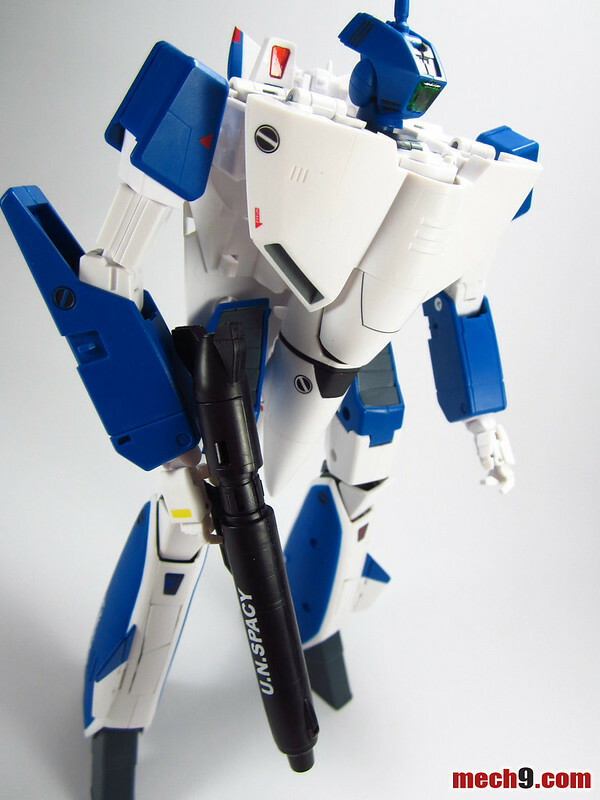 Got this back a couple of weeks ago from HobbyLink Japan, the 1/60 VF-1A Maximilian Jenius TV Version by Yamato Toys. 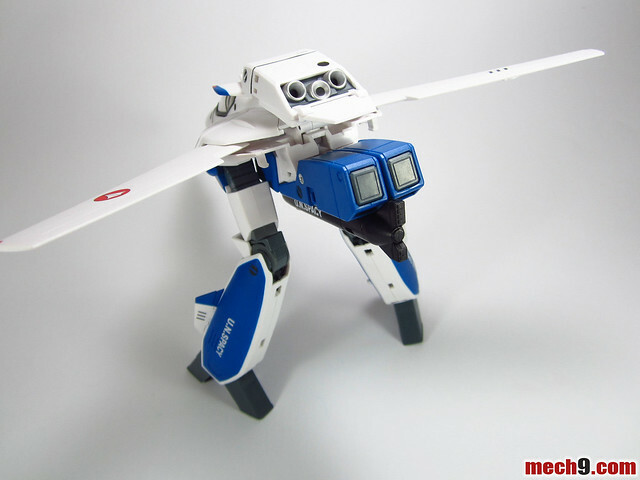 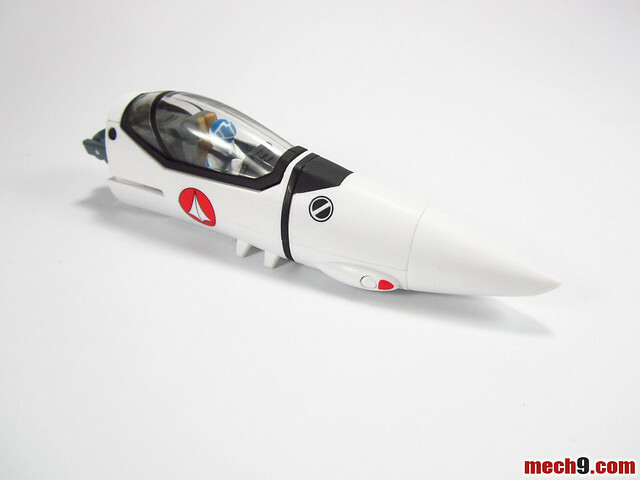 This toy was initially released by Yamato Toys in 2009. 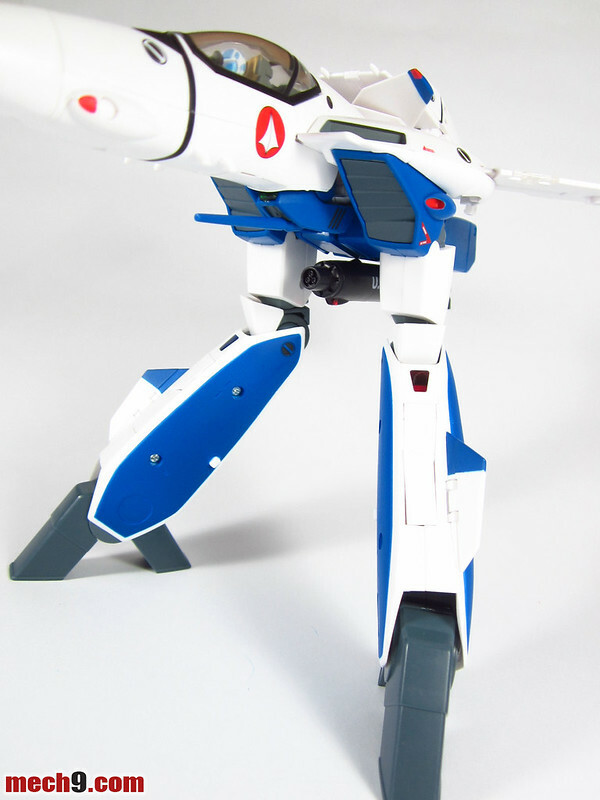 Translated transformation manual of the 1/60 VF-1A Maximilian Jenius TV version can be found here. 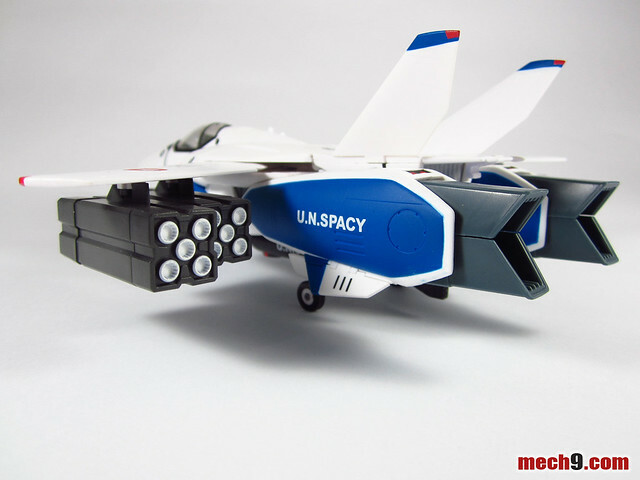 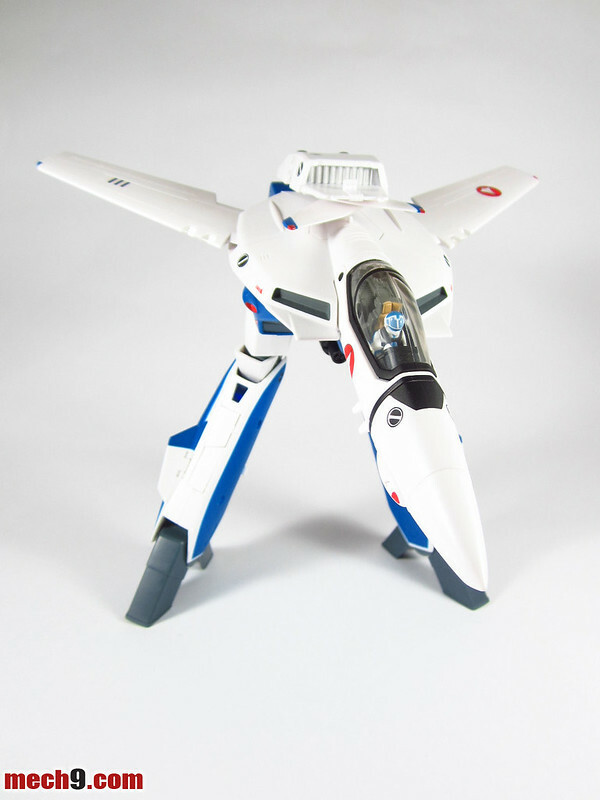 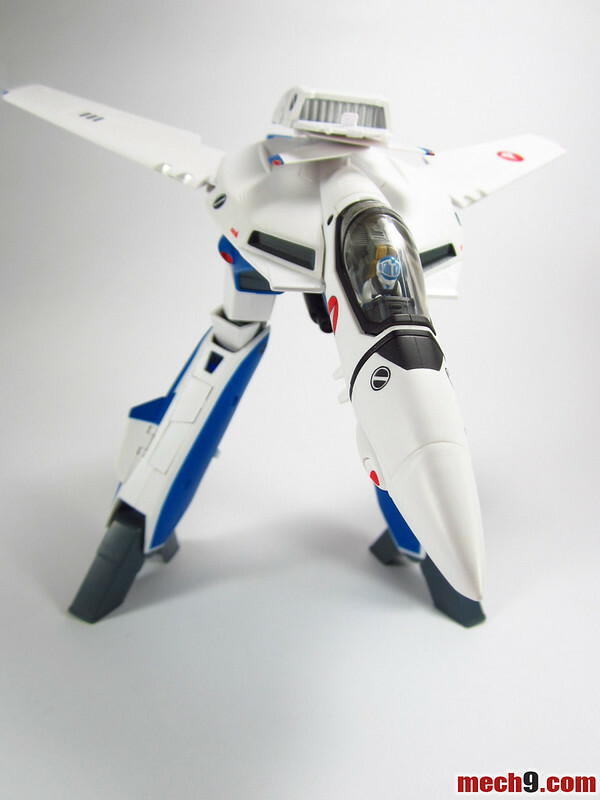 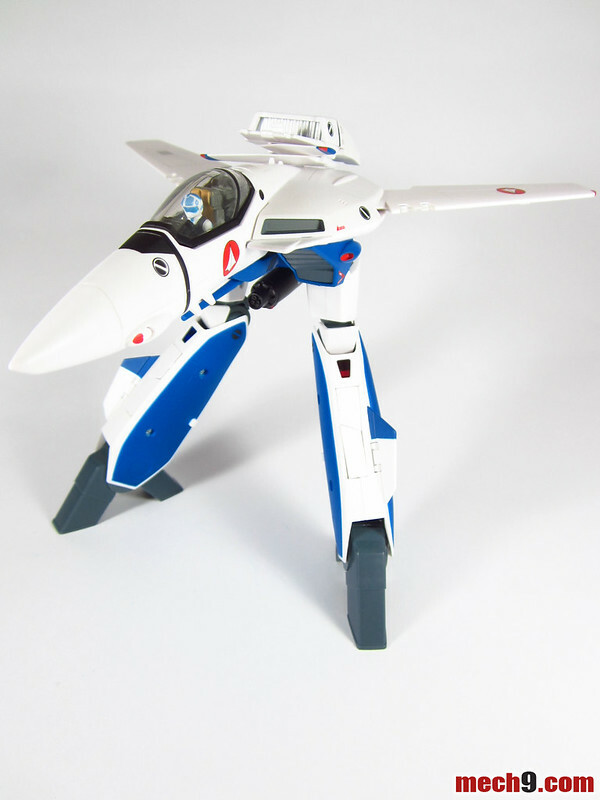 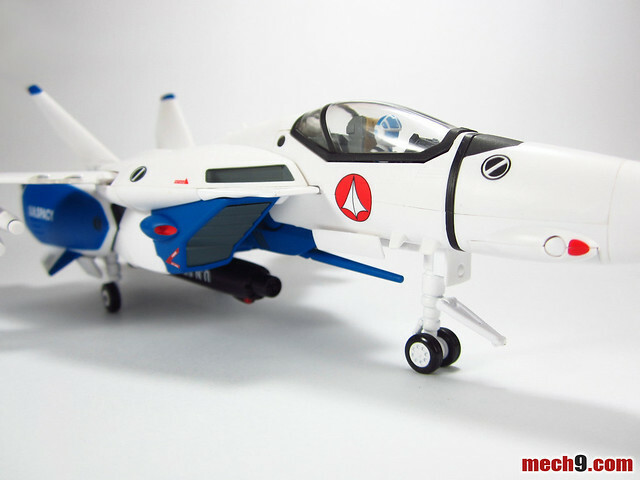 The VF-1A is the mass produced variable fighter of the Earth Forces in the Super Dimension Fortress Macross anime series that initially came out in the 1980s and is currently celebrating its 30th Anniversary as of this year. 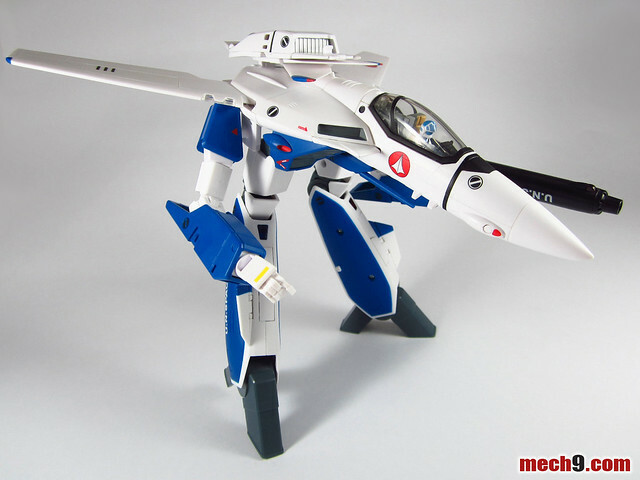 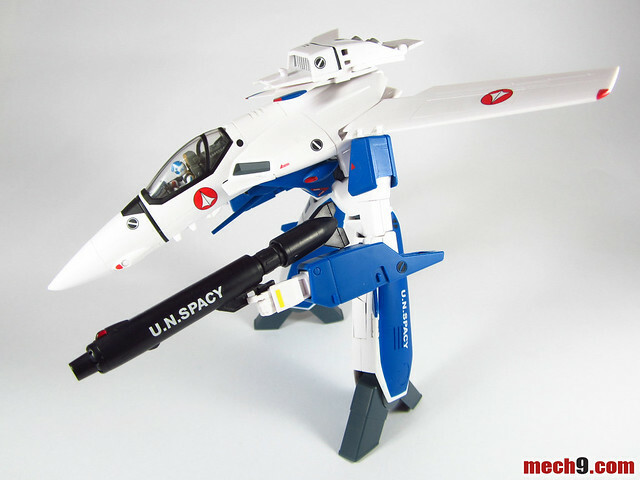 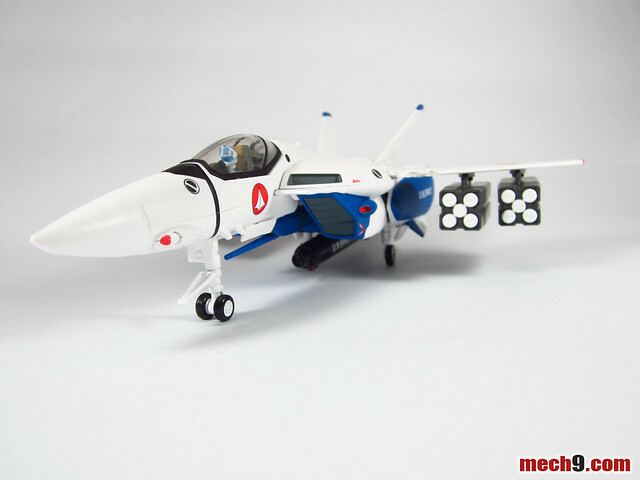 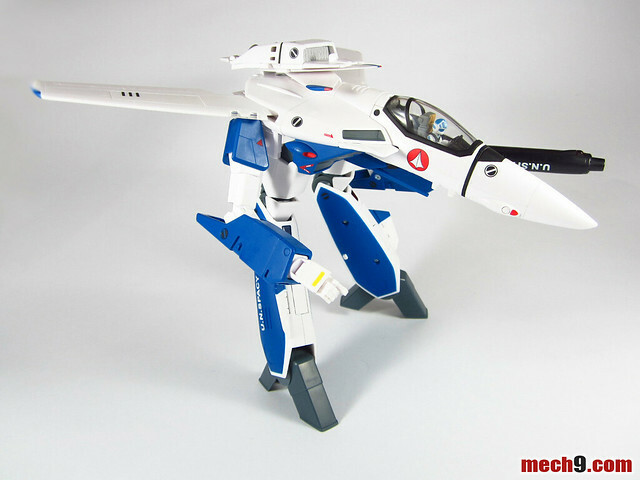 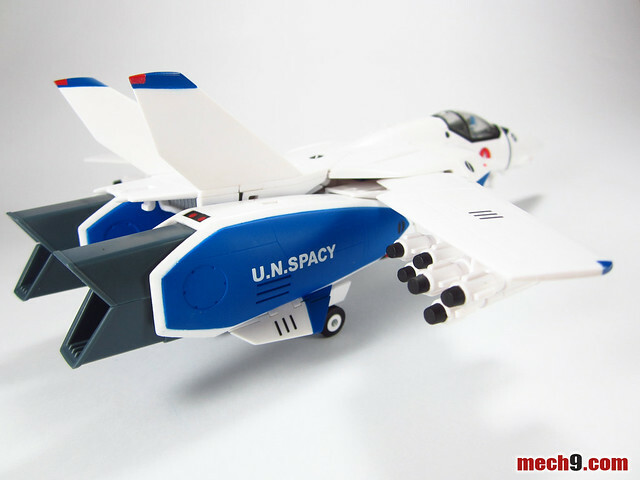 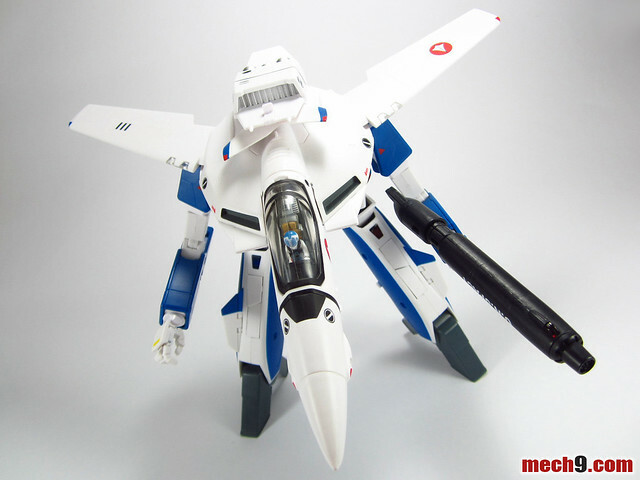 This particular VF-1A is piloted by UN SPACY ace pilot, Maximilian "Max" Jenius. 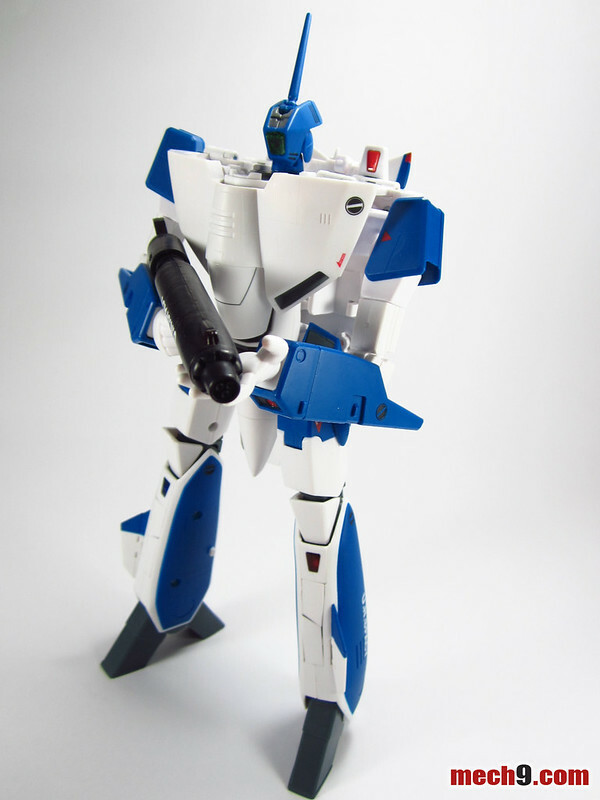 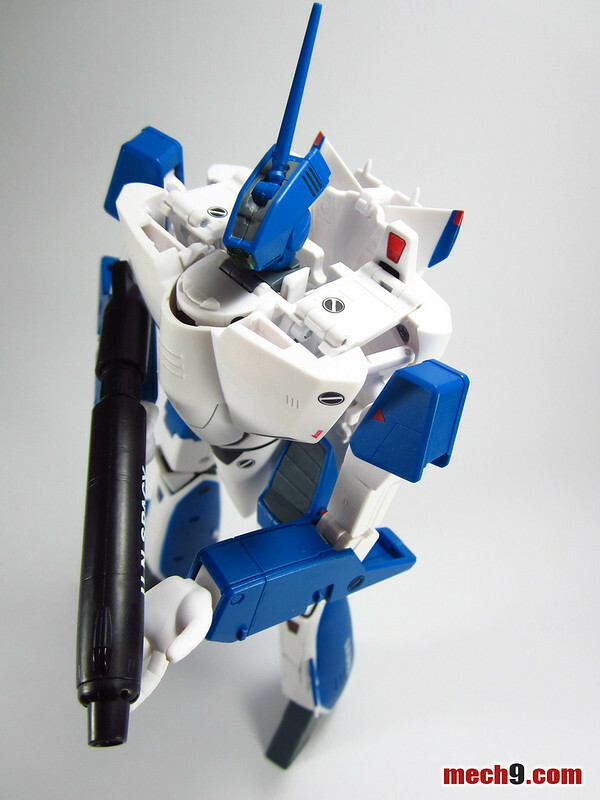 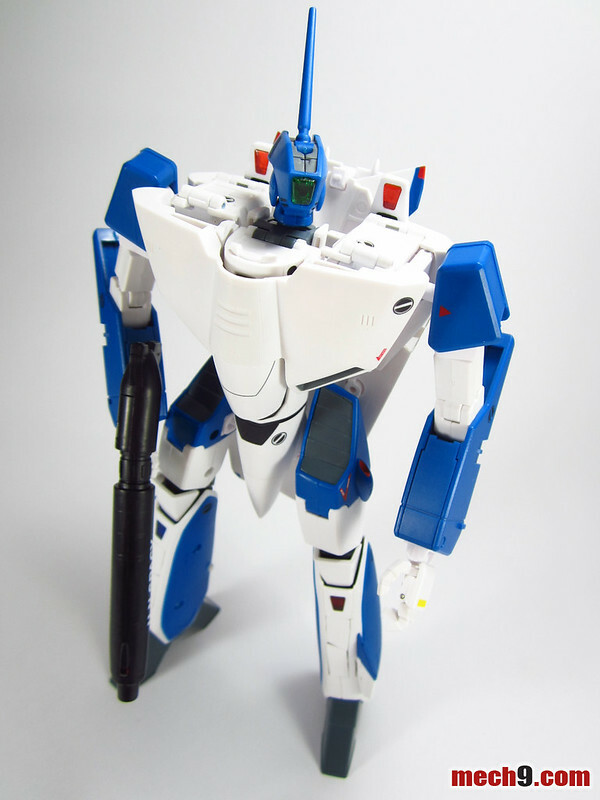 Unlike the drab brown color of the ordinary VF-1A, this comes adorned in the signature blue color of Maximilian Jenius. 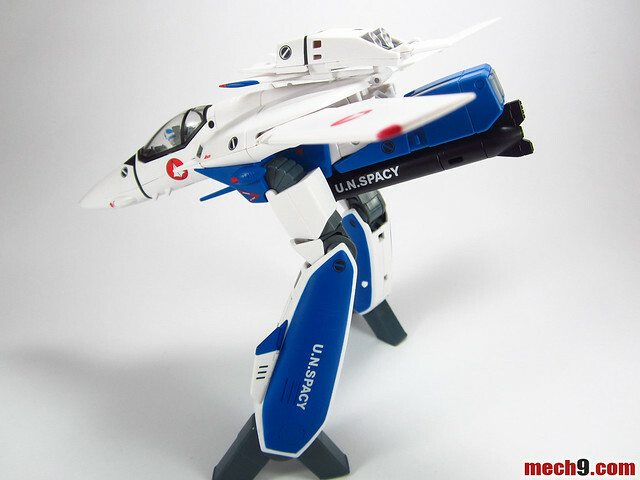 Probably the best episode for me in the entire SDF Macross anime was Episode 18 titled "Pineapple Salad." 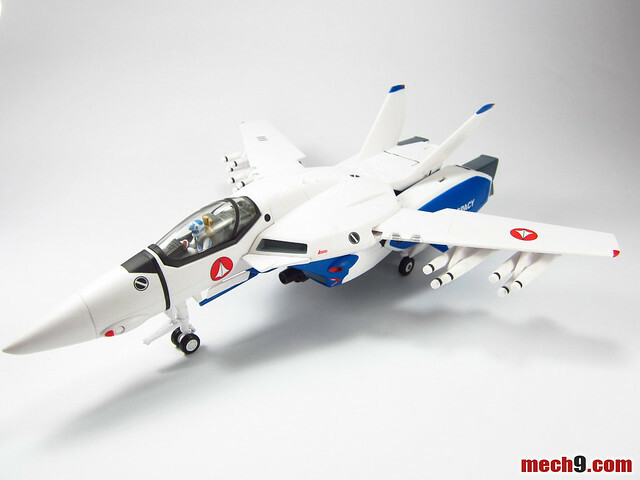 It featured a well animated scene of Max's VF-1A fighting against the enemy Queadluun Rau of Miriya Fallyna (who eventually became his wife). 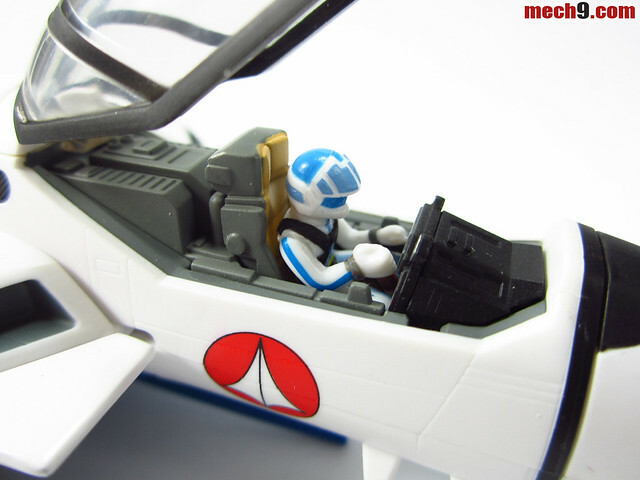 More important of course in that episode was the tragic death of Skull Squadron Leader Roy Fokker. 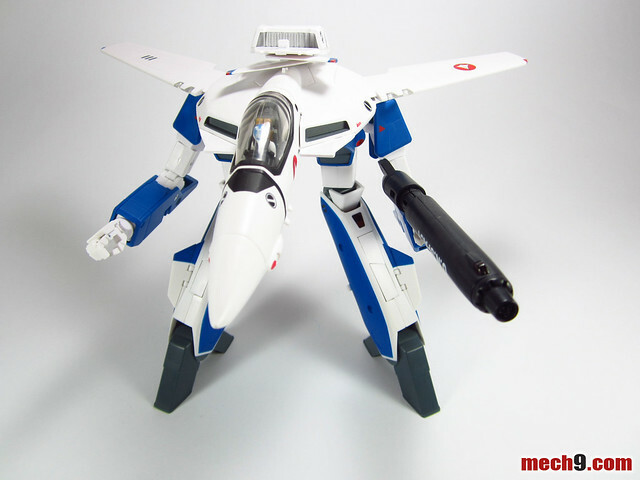 The artistry and Genius of the entire Macross production staff really shined in that particular episode. 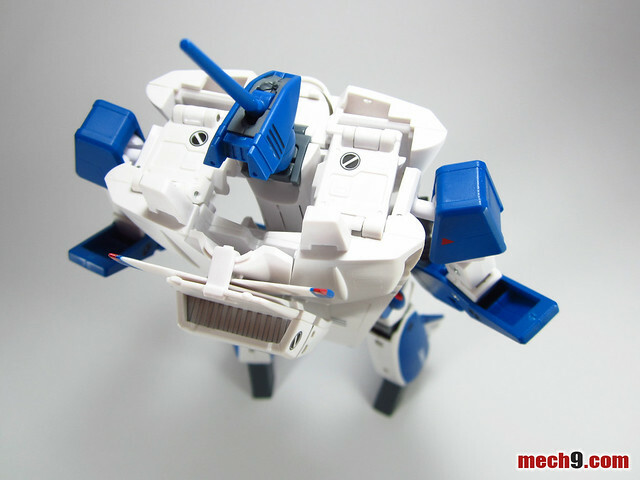 Ahhk, I'm waxing nostalgic again, back to the review. 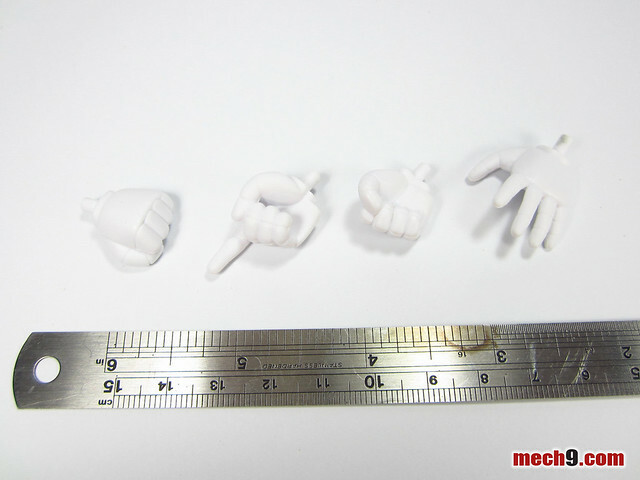 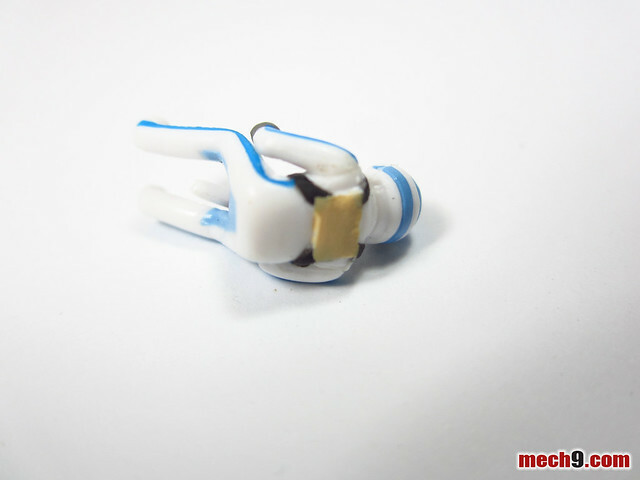 First the negative parts of the toy. 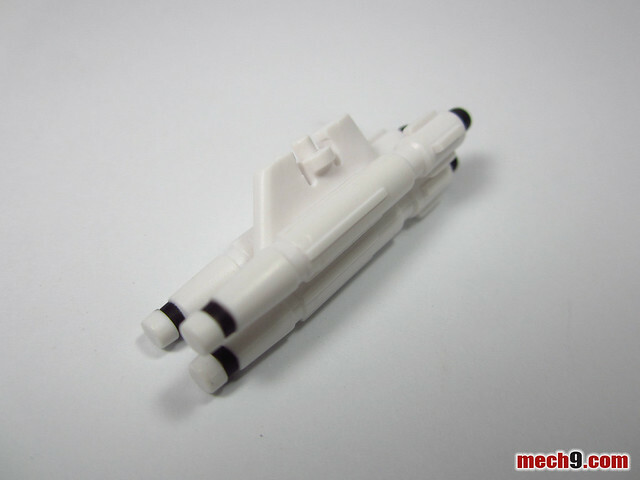 Well in all honesty I didn't see any major problems with this toy. 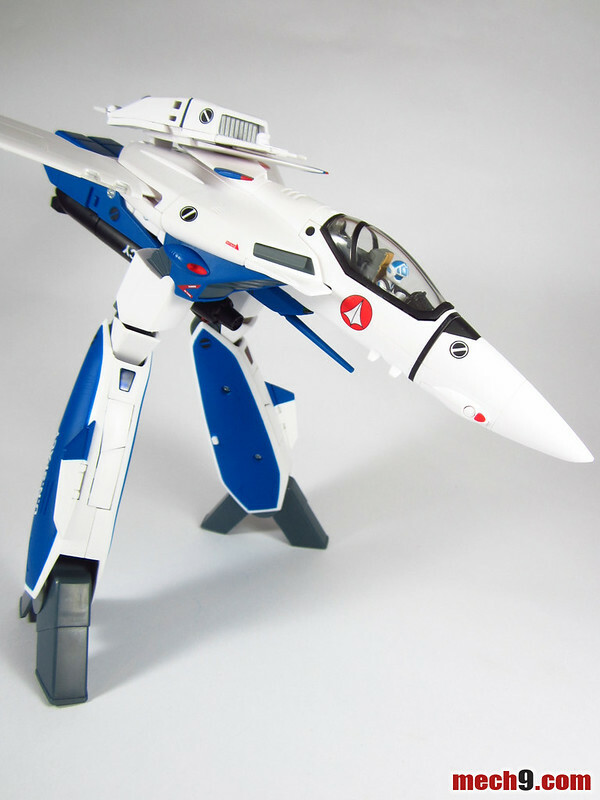 Which is a testament to how well built the 1/60 VF-1A series of Yamato Toys are. 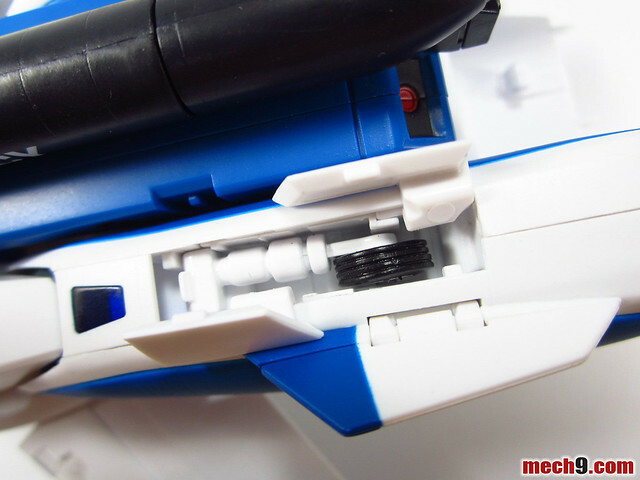 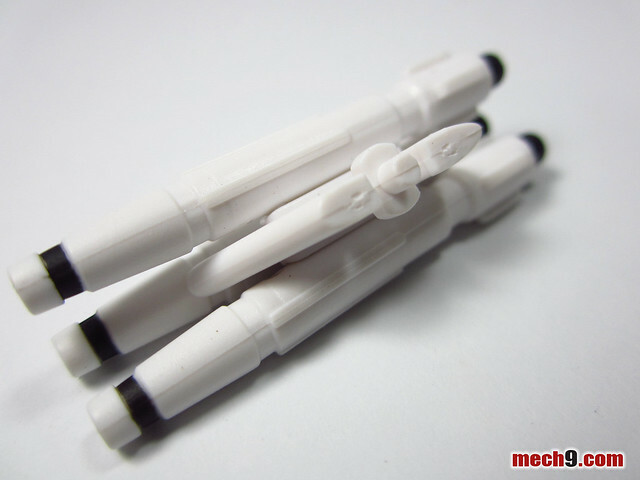 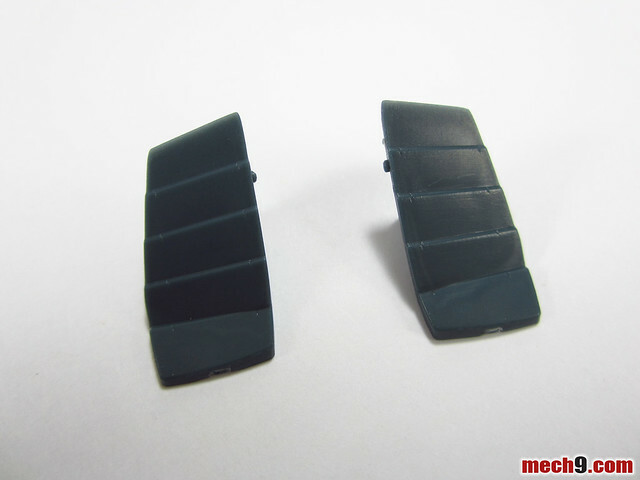 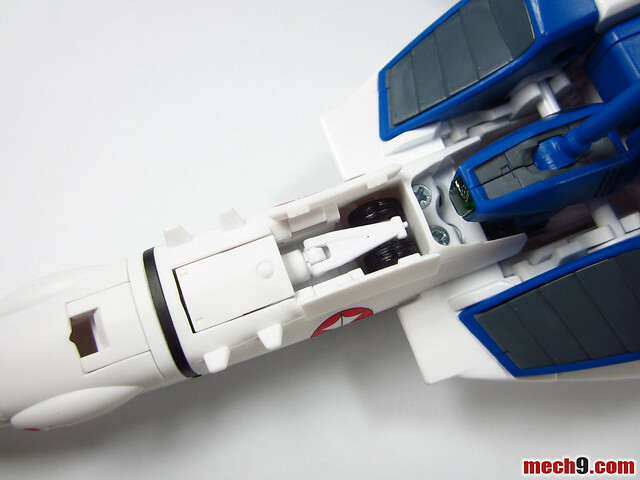 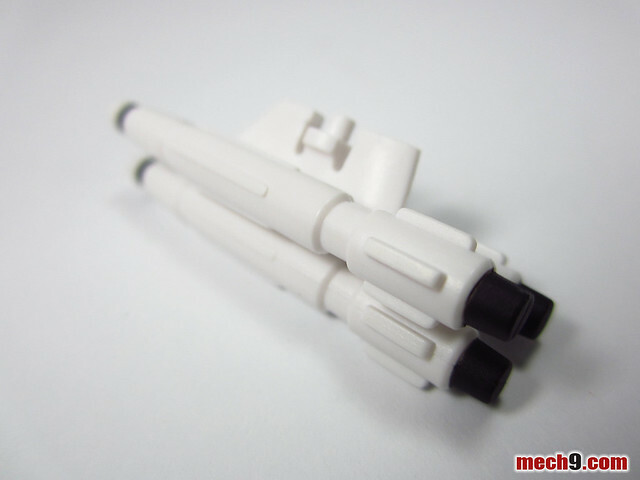 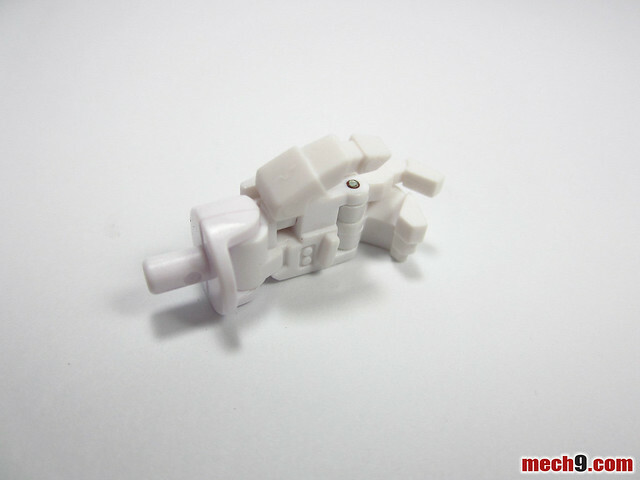 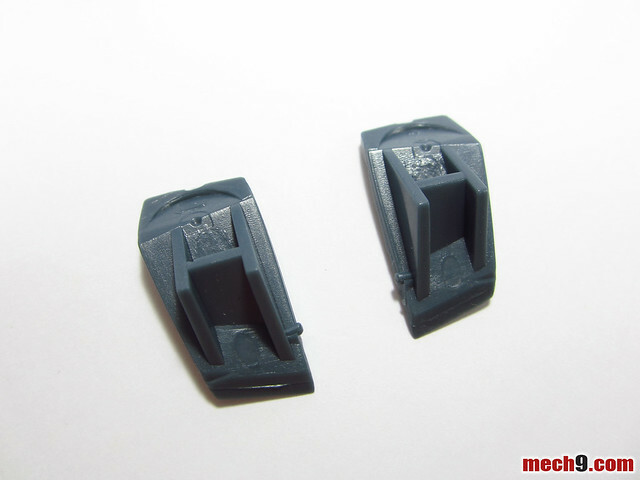 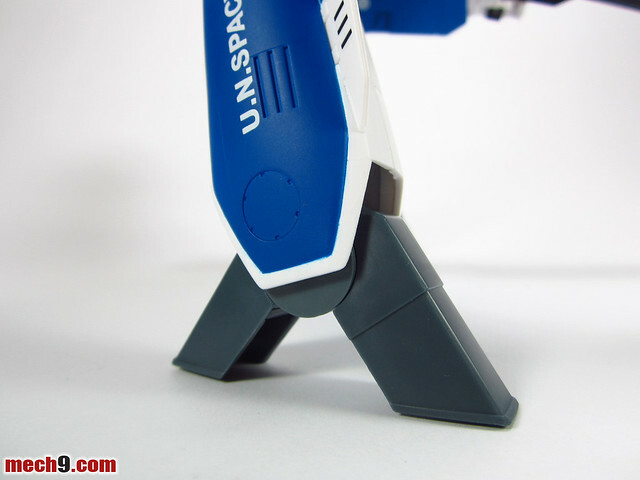 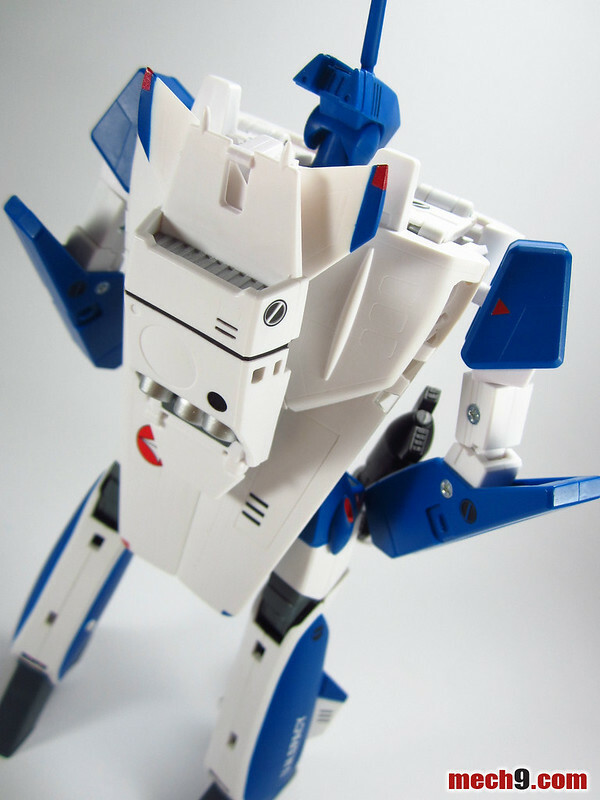 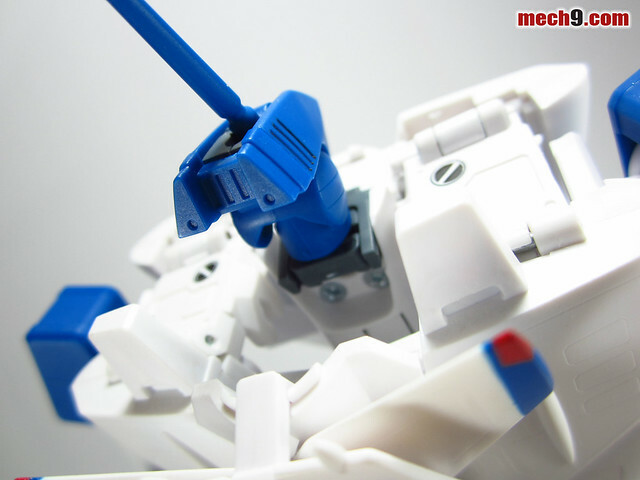 Of course there are the usual caveats of the weak shoulder joints that could easily break as well as some of the paint parts easily being scratched off. 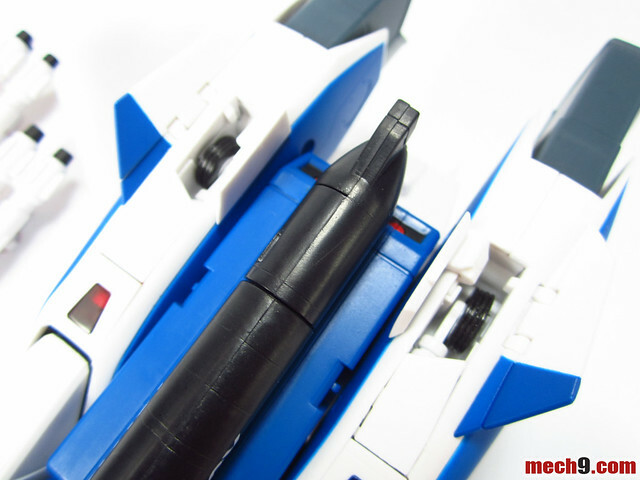 Which is why I recommend clear or matte coating the toy to protect it from scratches (be sure to mask the clear parts first like the canopy, light parts etc). 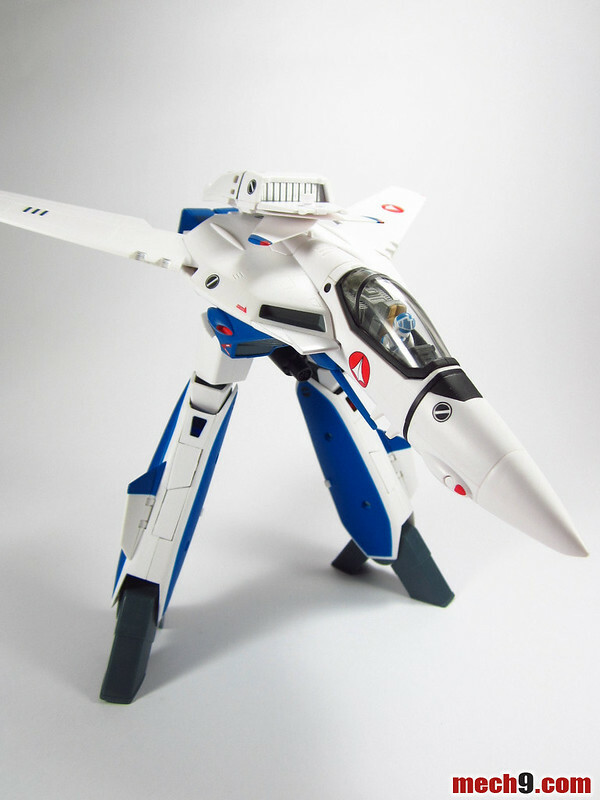 As with any review by me of the 1/60 VF-1 Series by Yamato Toys I always have to point out that these are display toys and not "play" toys. 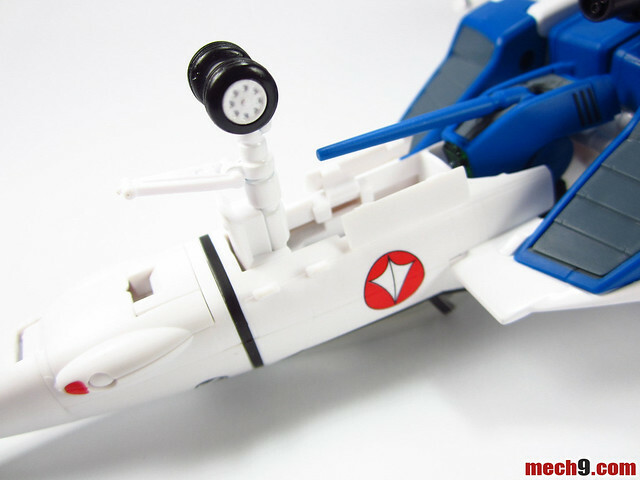 In order to achieve accuracy, Yamato Toys had to sacrifice some durability in the toy. 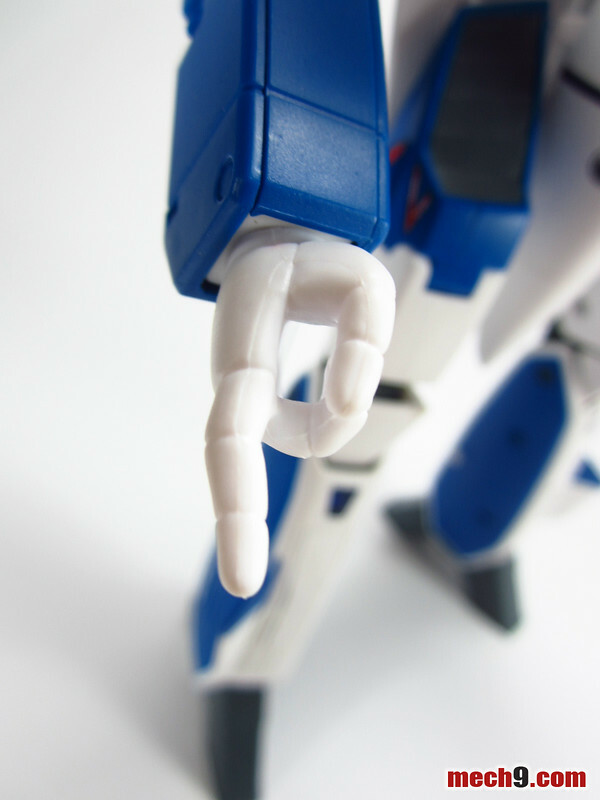 Display toys like these are something to be enjoyed by watching with one's eyes and not by excessive touching with ones hands. 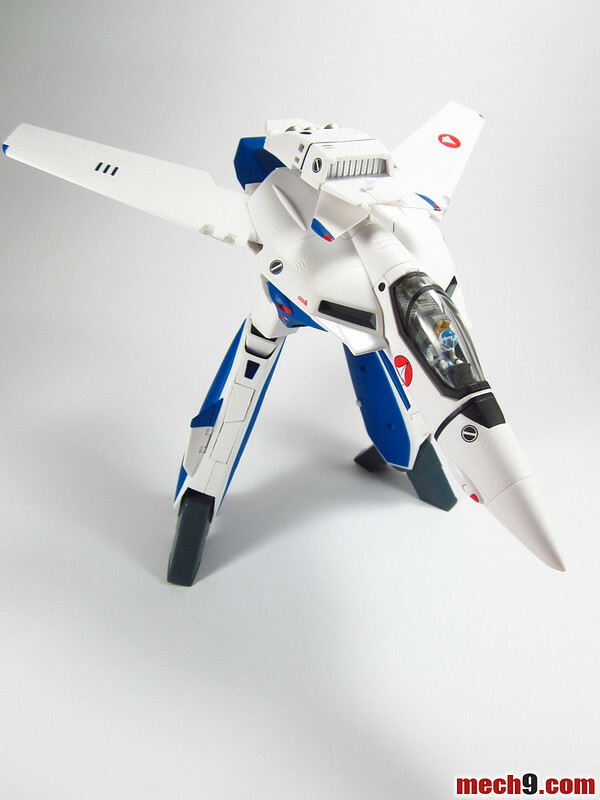 As Maximilian Jenius is one of my favorite characters in the Macross Franchise I'm definitely happy to have this beautifully designed toy in my collection. 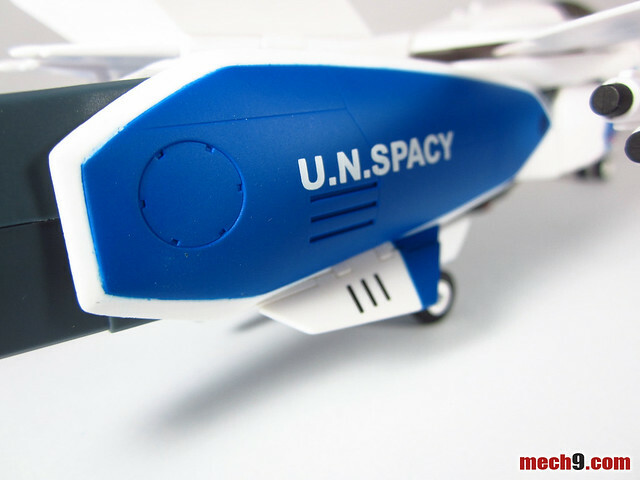 More of the review can be read in the succeeding pages. 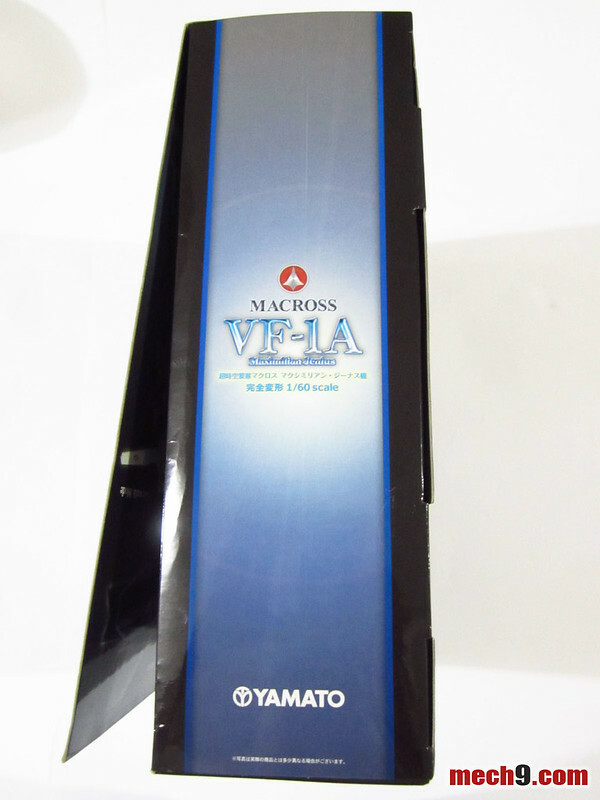 Beautiful glossy box with a dimension of 32.6 x 28.0 x 10.5 centimeters. 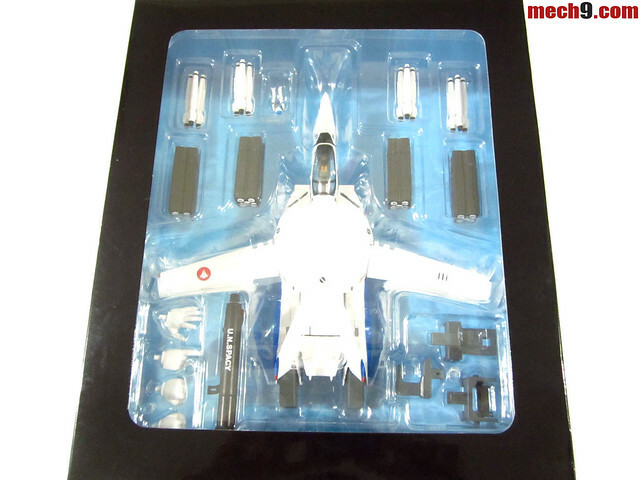 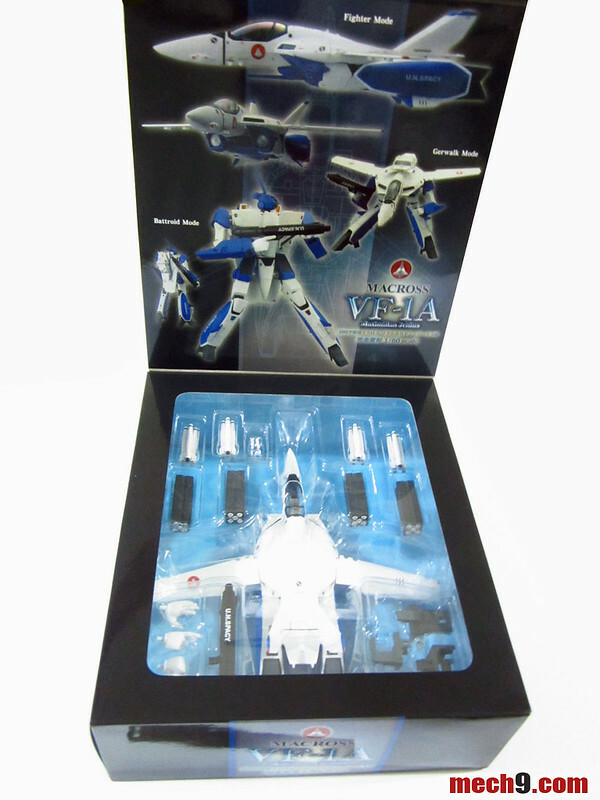 Box comes with a flip top cover that when opened shows the VF-1A in fighter mode. 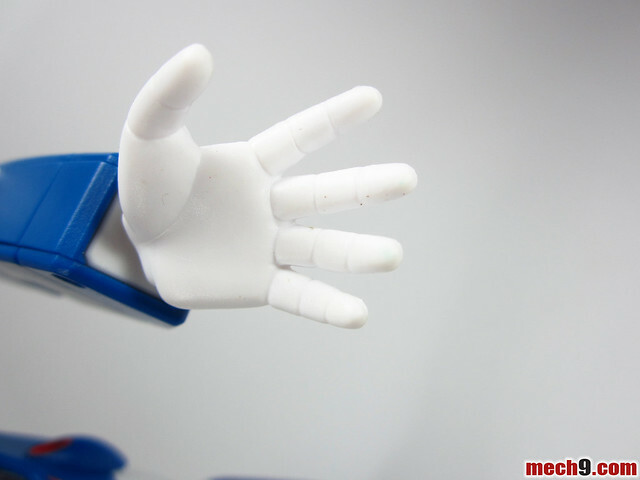 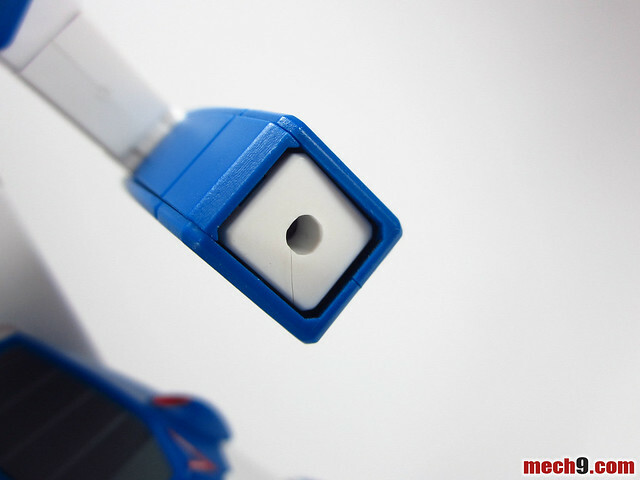 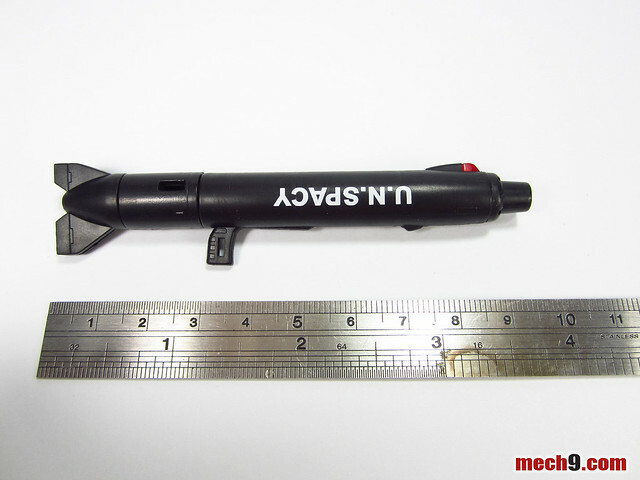 The toy is nestled in a two part vacuum formed plastic that protects it from damage. 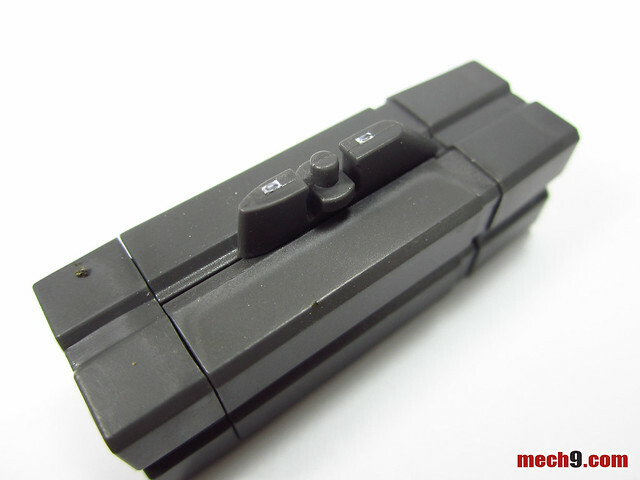 With the flip top cover raised to show what's inside. 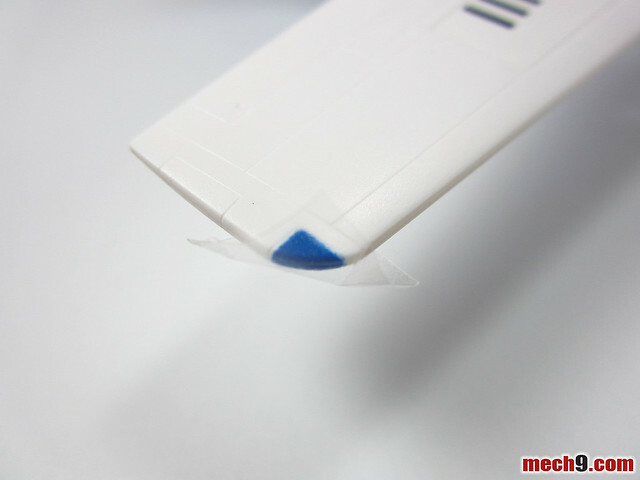 Close up of the flip top cover part of the packaging. 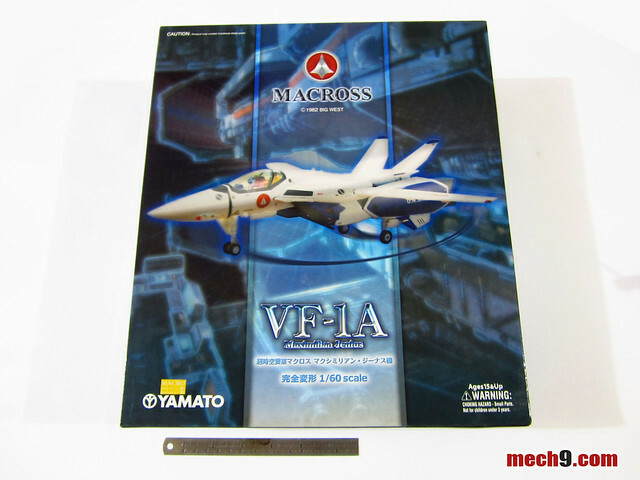 The box right next to a 6 inch ruler for easy comparison. 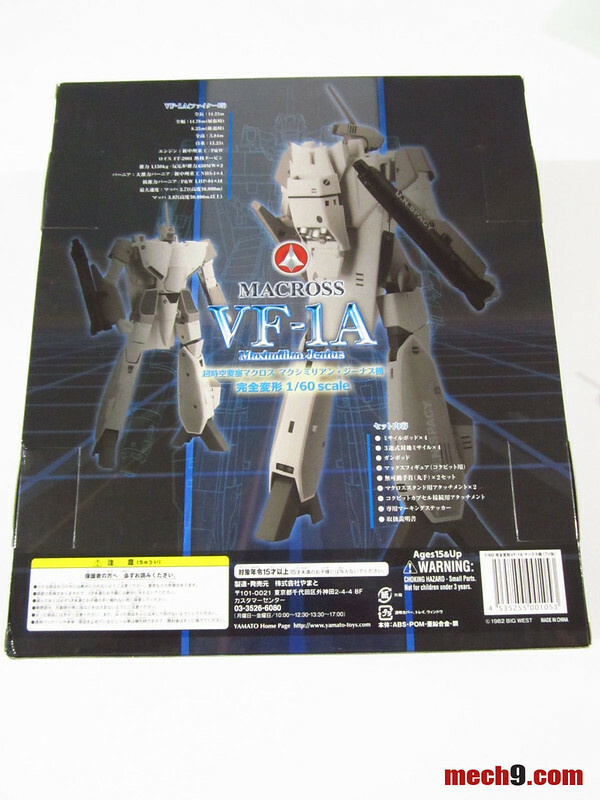 At the backside of that box is where a separate plastic bag is taped on. 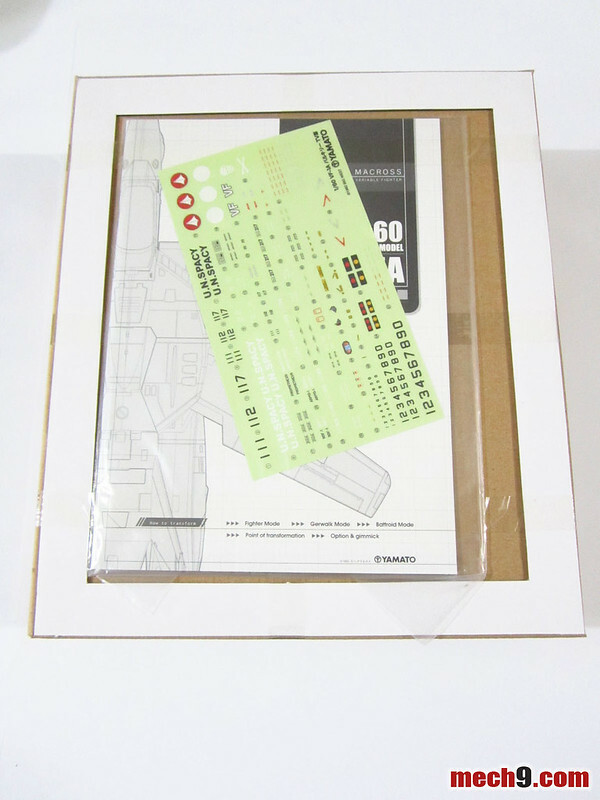 Inside that plastic bag are the included stickers and transformation manual. 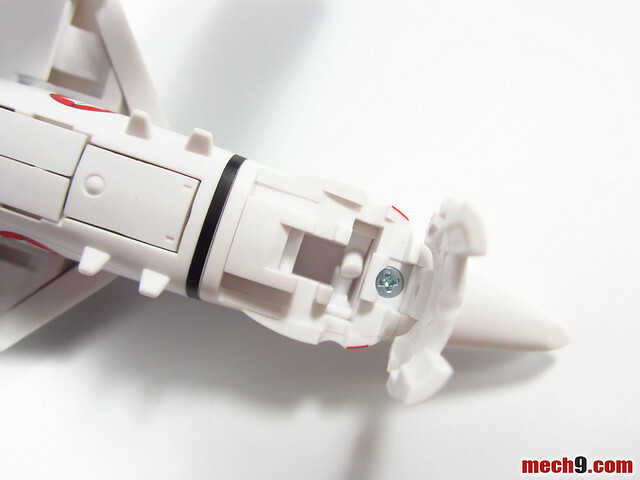 Pulling out the 1/60 VF-1A from its casing, you will notice that some parts of the toy have tape or plastic attached to it for protection. 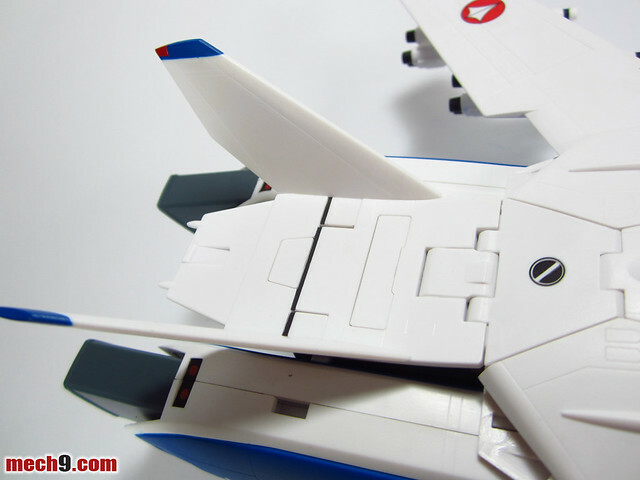 In this particular picture the wings are sheathed in plastic. 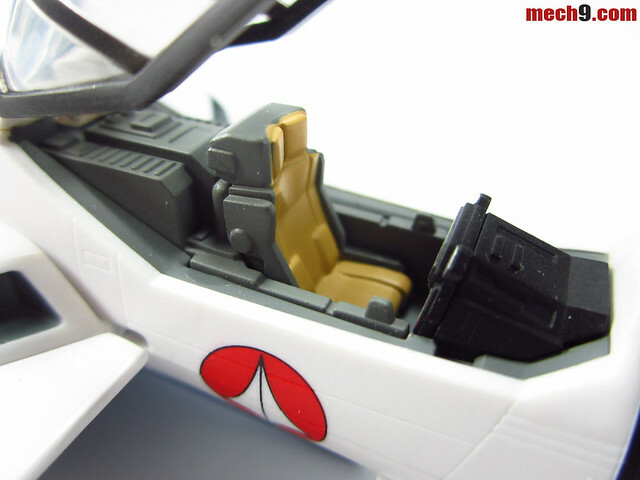 Also the front landing gear door has tape attached to it. 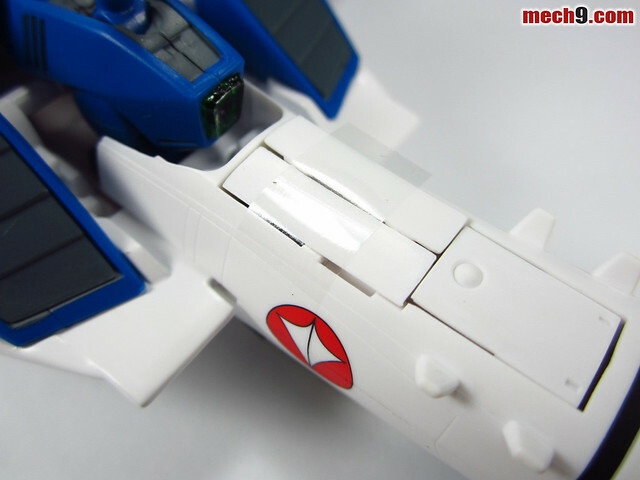 Then there is both ends of the wing tips, tape is used to protect the painted parts of the wing tips. 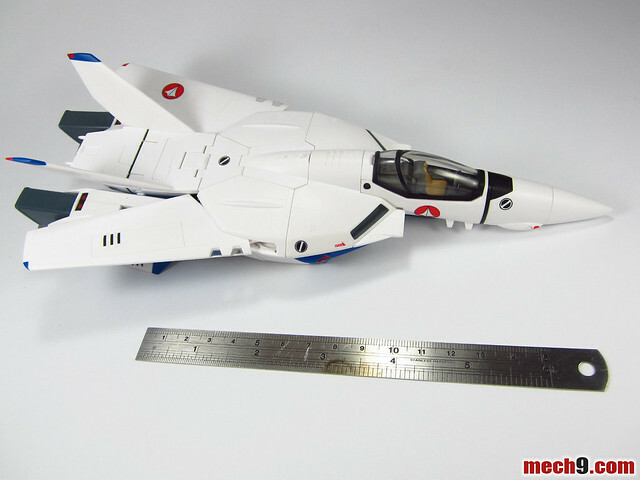 For a little more perspective, here's a shot of the 1/60 VF-1A Max in Fighter mode next to a 6 inch ruler for comparison. 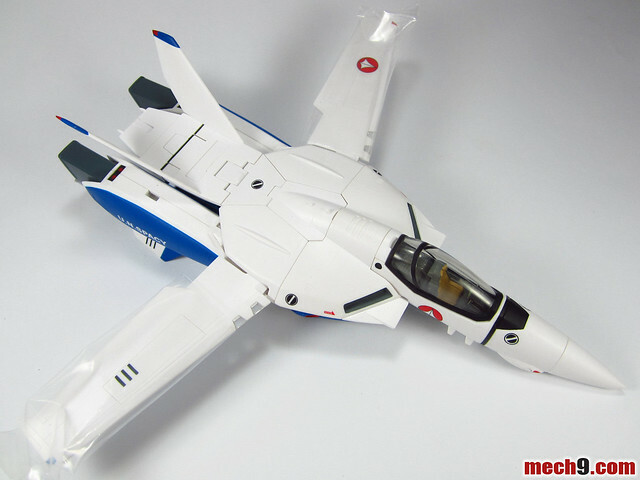 The 1/60 VF-1A Maximilian Jenius TV version comes with the usual accessories that come with the regular 1/60 VF-1 series from Yamato Toys. 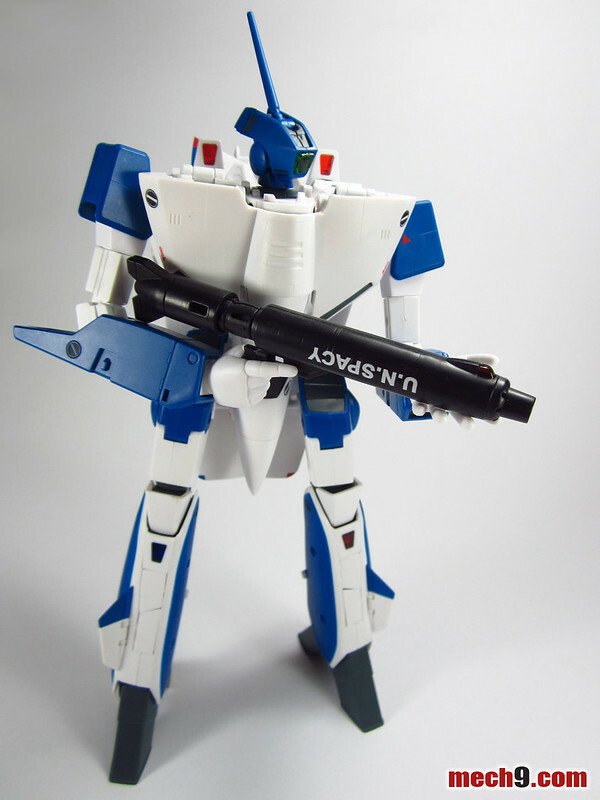 These are a transformation manual, a sticker sheet, gunpod, pilot figure, 8 wing mounted missiles and stand attachments that allow it to be connected to a Yamato stand. 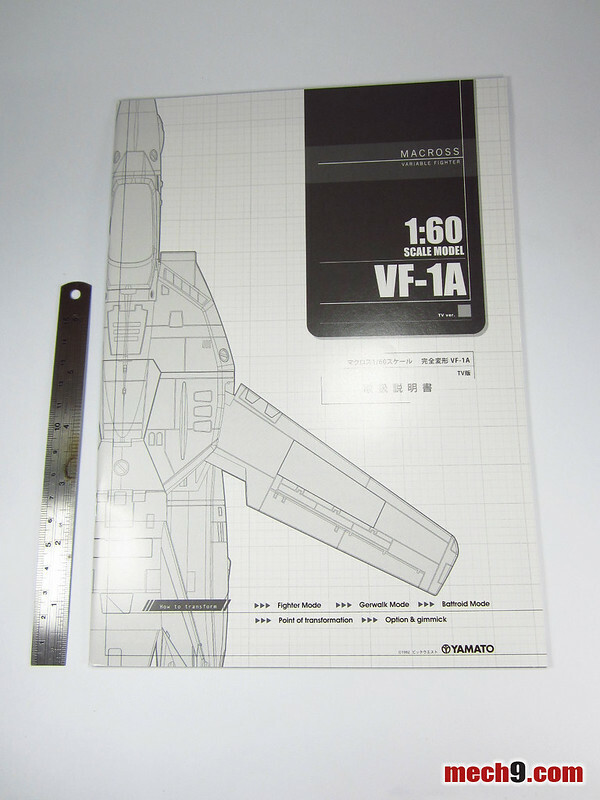 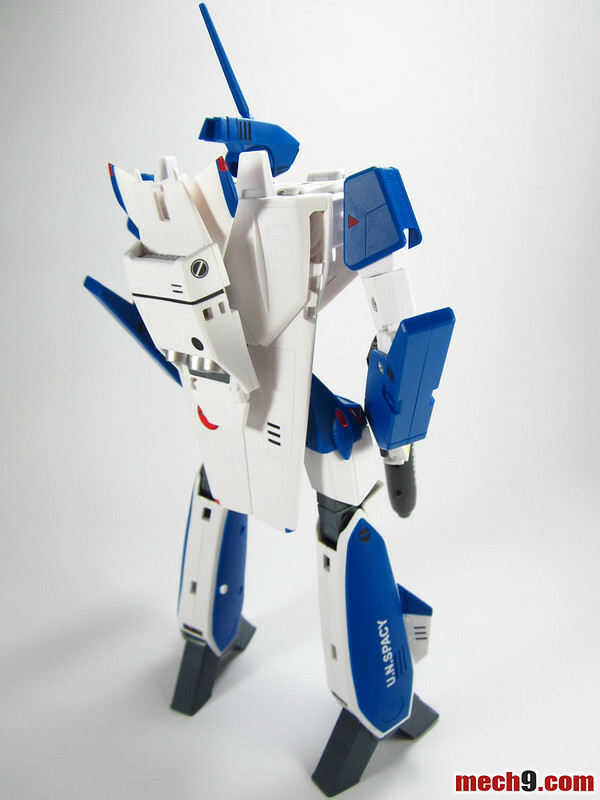 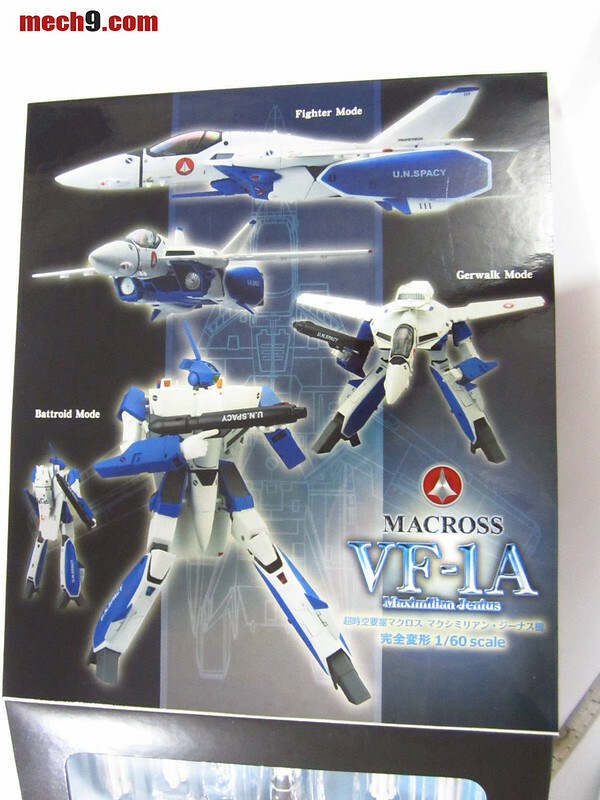 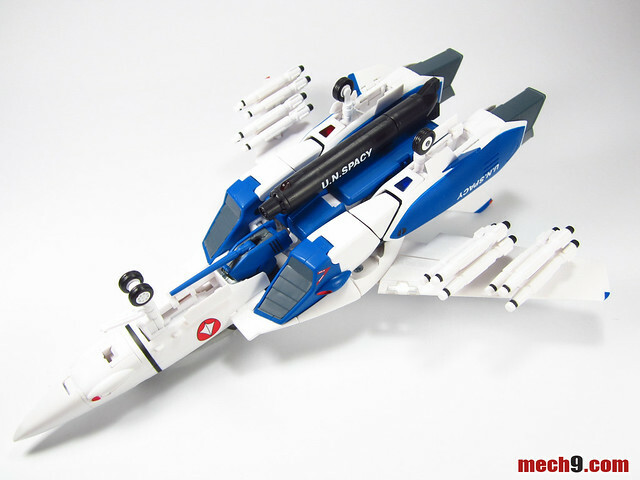 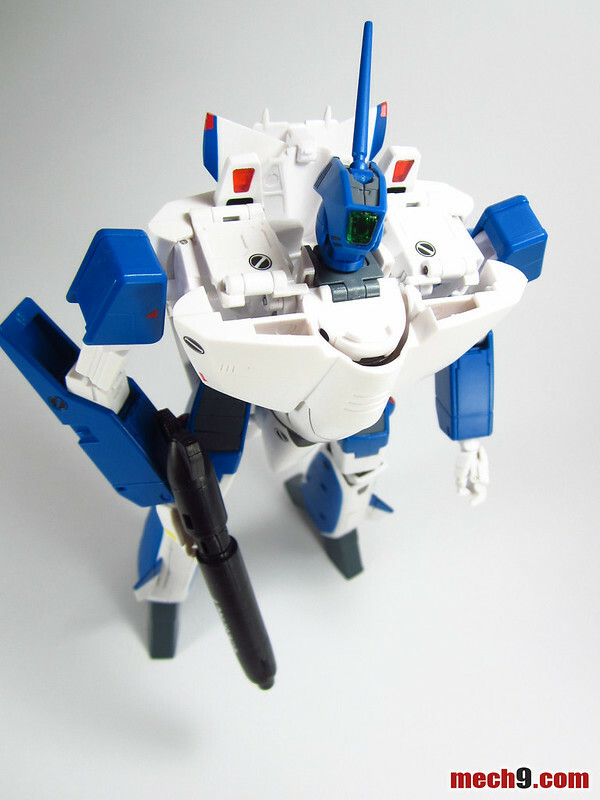 Here's the transformation manual for the 1/60 VF-1A Maximilian Jenius TV version. 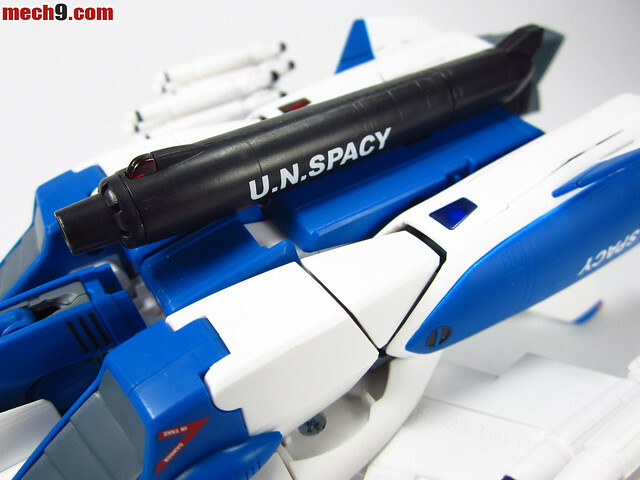 Already translated to English and it can be found here. 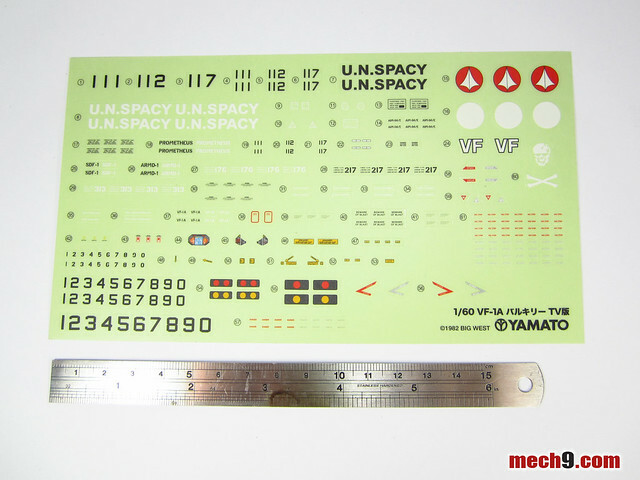 Included sticker sheet next to a 6 inch ruler for comparison. 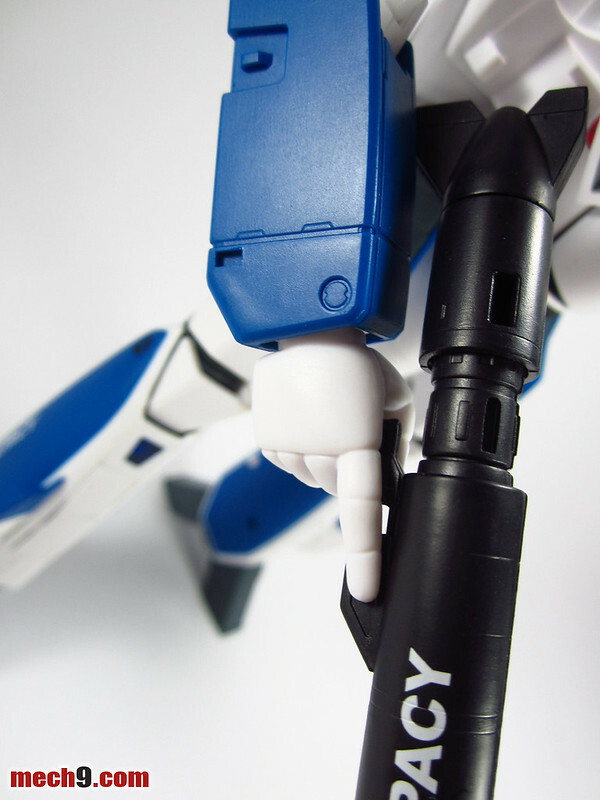 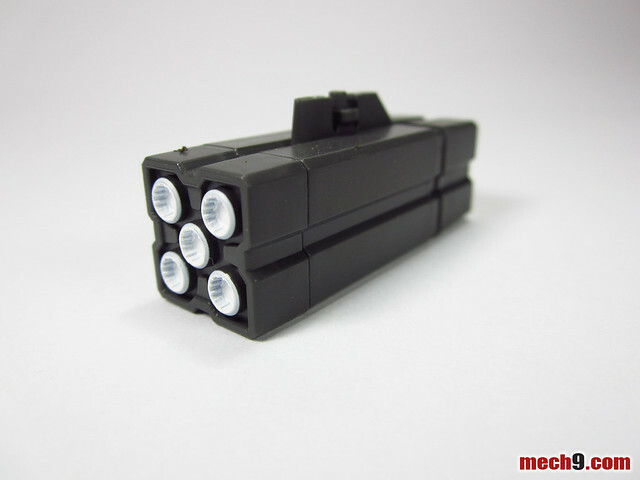 I usually like to use this one to hold the Gunpod because the Gunpod doesn't easily come off. 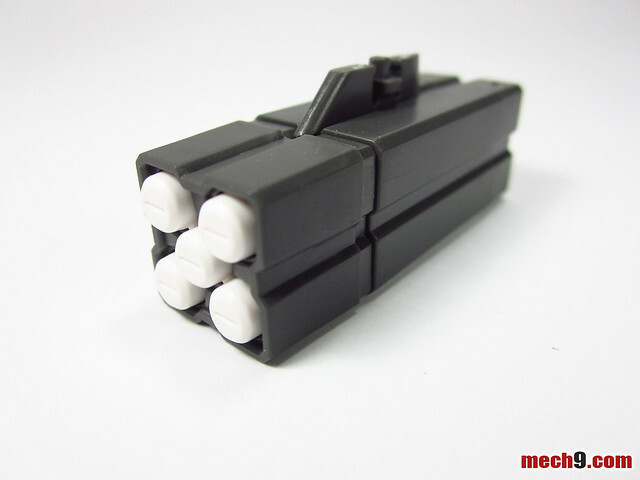 Other side of the Gunpod in its stowed configuration. 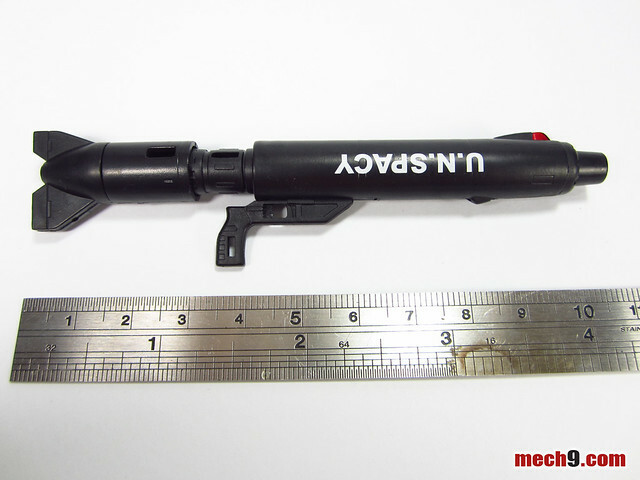 Here's a shot of the Gunpod in firing position with the stock extended and the pistol grip pulled down. 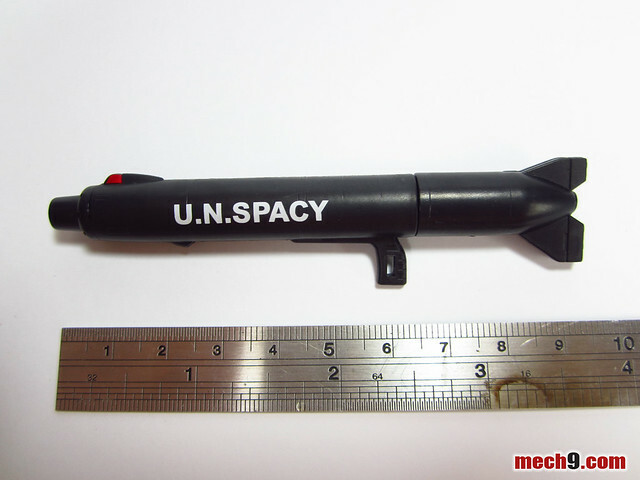 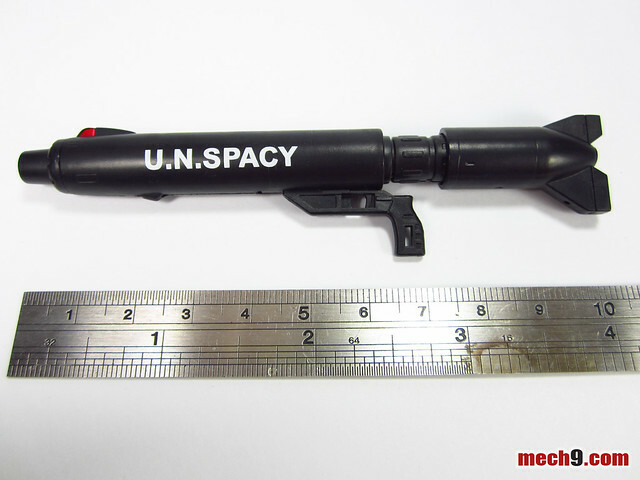 Care should be taken with the UN SPACY logo at the side of the gunpod as it can easily be rubbed off if excessive force is used. 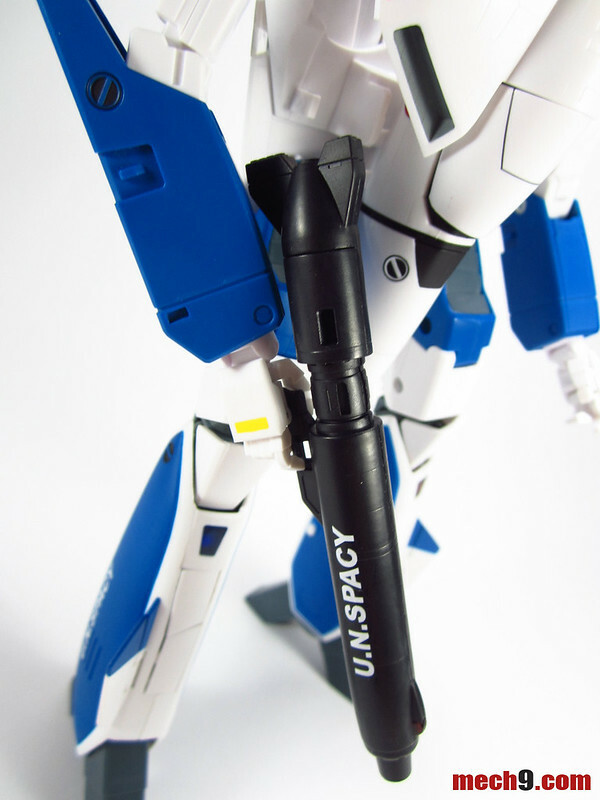 One reason too why I recommend sealing it in with a top coat of clear or matte paint. 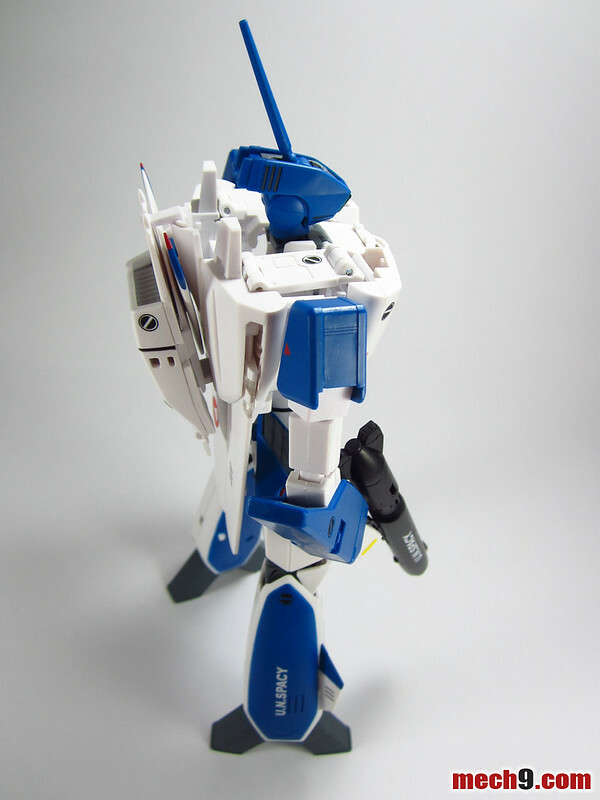 Here's a shot of that on the other side. 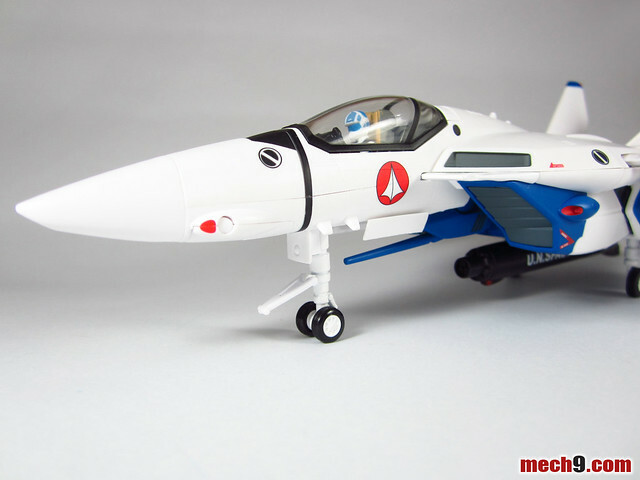 1/60 scale Maximilian Jenius Pilot figure. 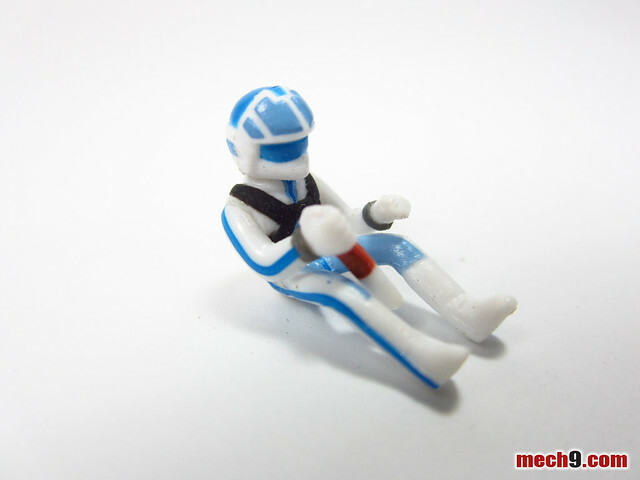 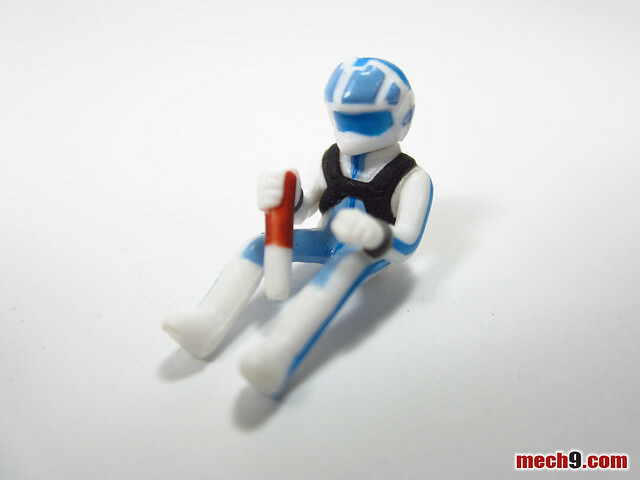 The pilot figure of the TV version release of Yamato Toys has the control stick in hand already. 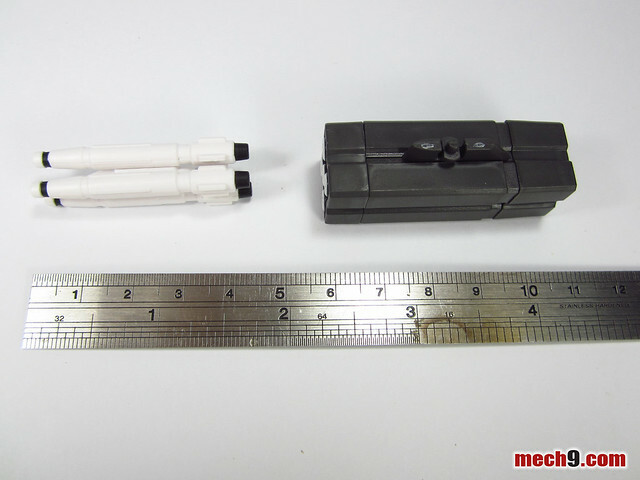 Shot of the two types of missile sets next to a 6 inch ruler for comparison. 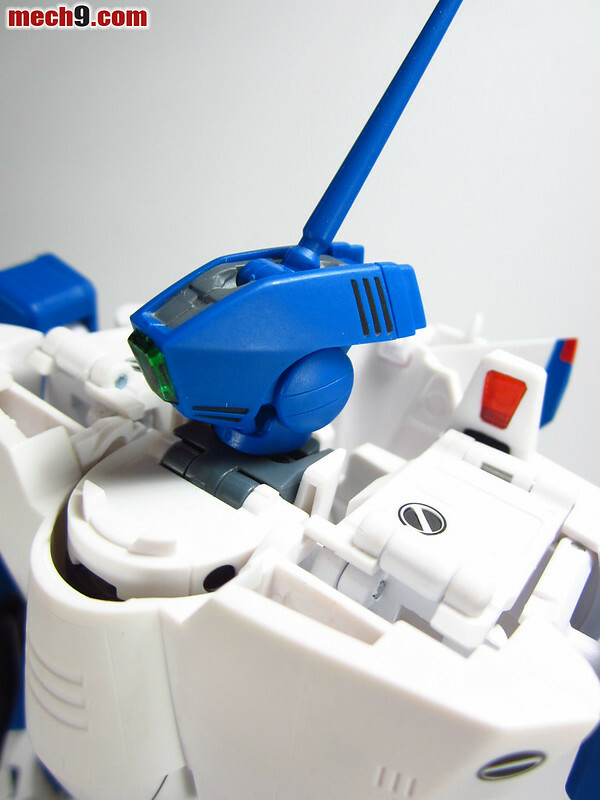 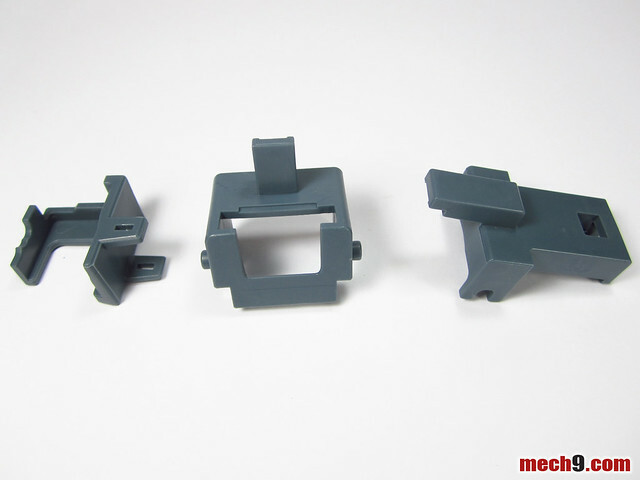 Stand attachments included with the set for use in either fighter, gerwalk or battroid mode. 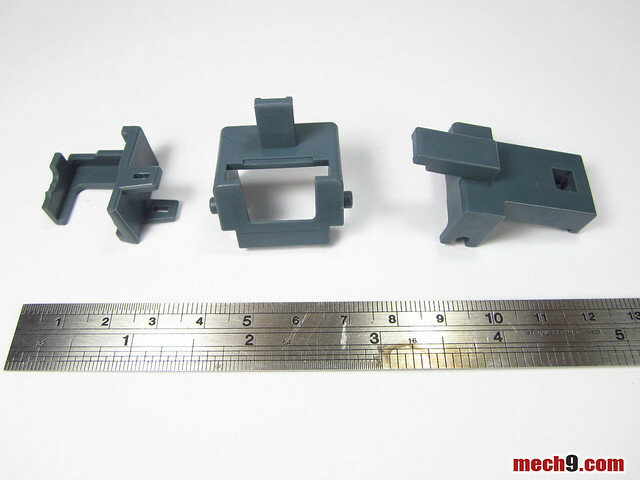 Stand attachments next to a 6 inch ruler for comparison. 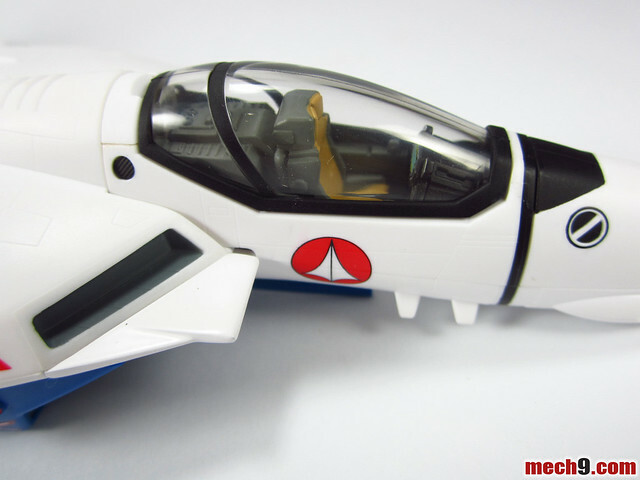 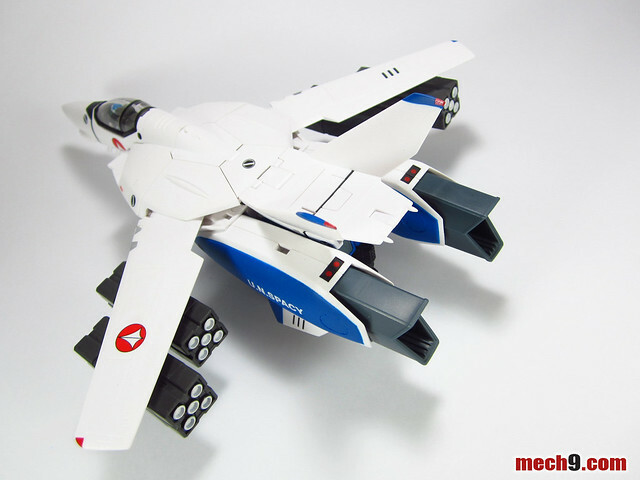 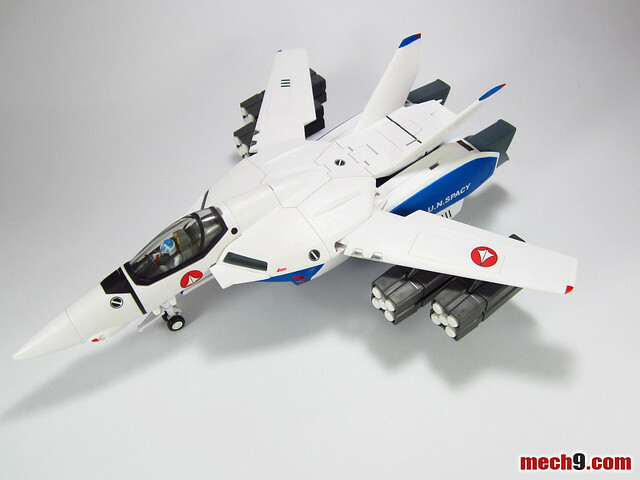 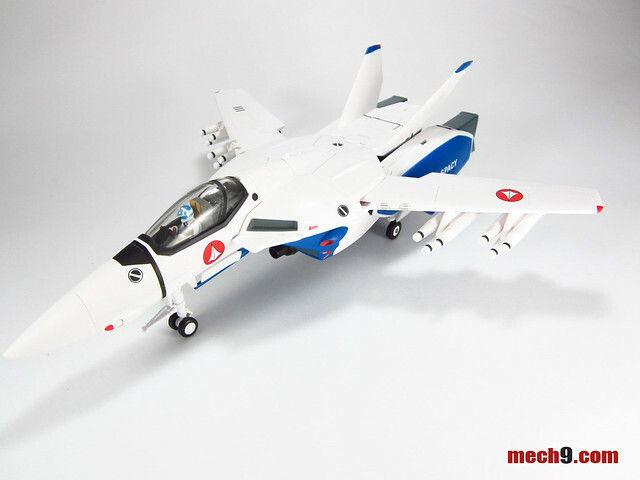 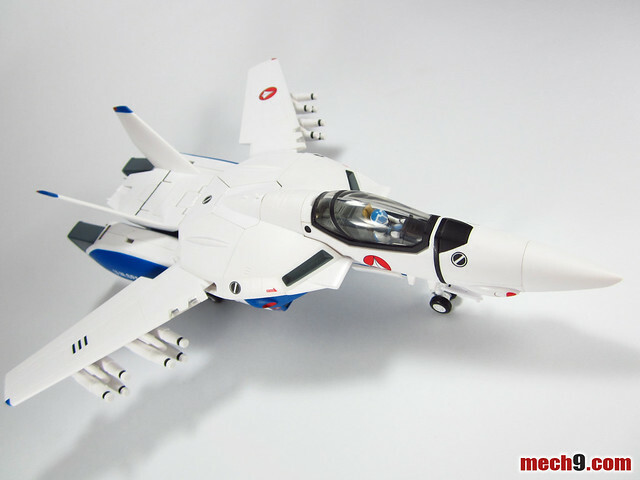 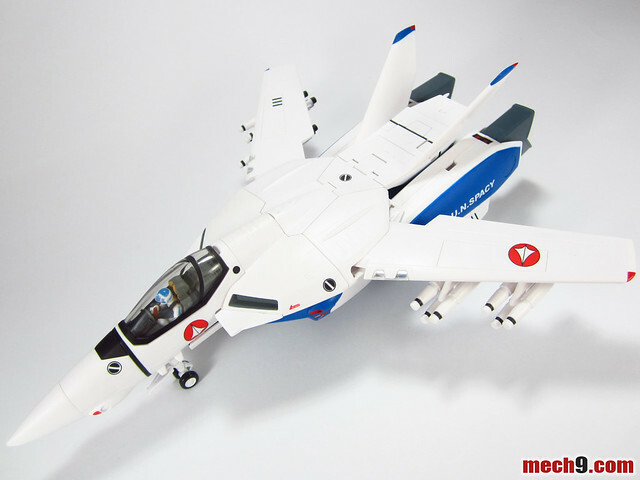 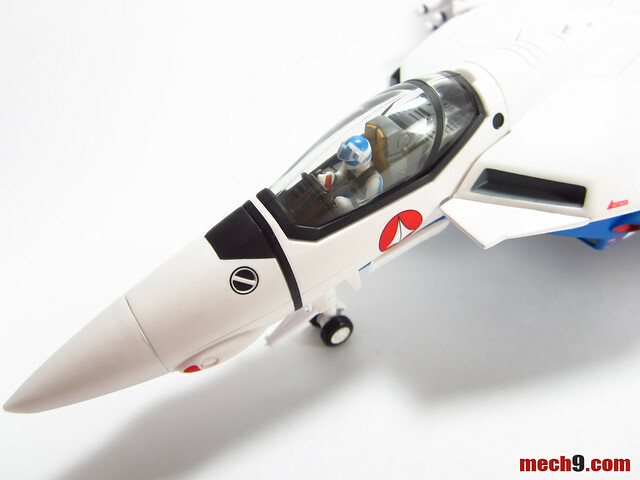 Shots of the 1/60 VF-1A Maximilian Jenius in Fighter mode. 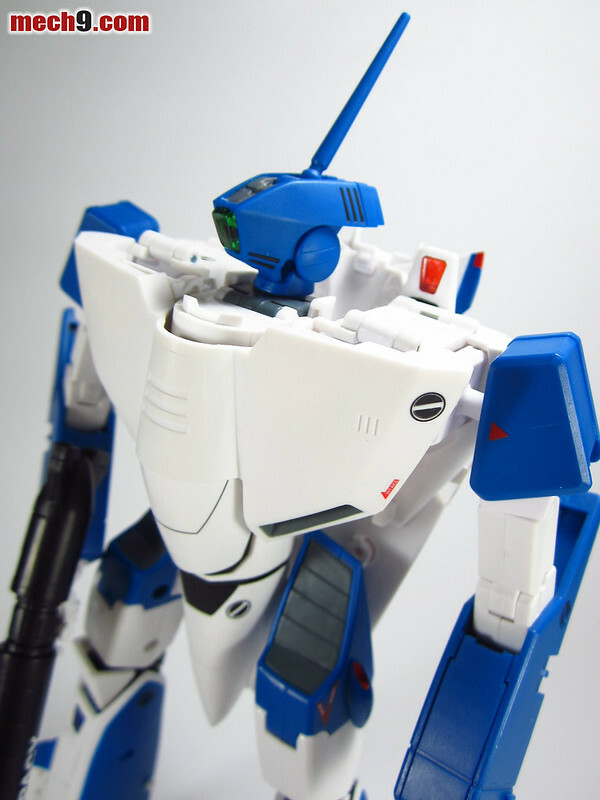 I always loved the pure white look with some blue spots in the overall design of Fighter mode. 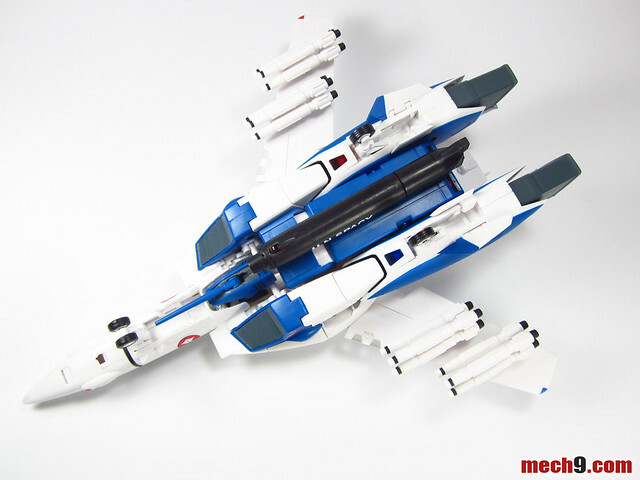 I think its because it appeals to my preference for subtle and minimalist designs. 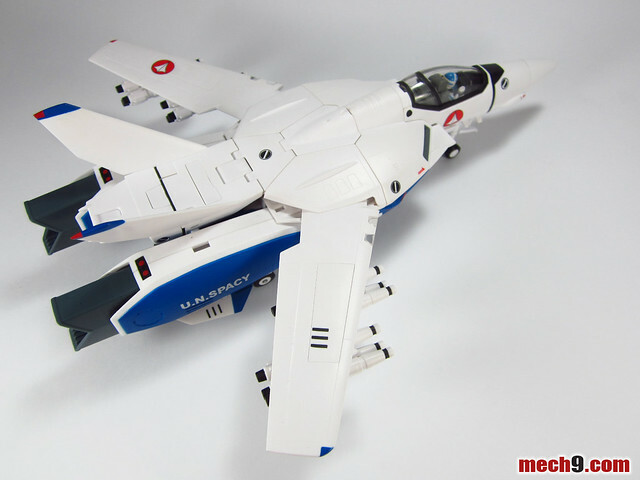 The Fighter is of a swing wing design. 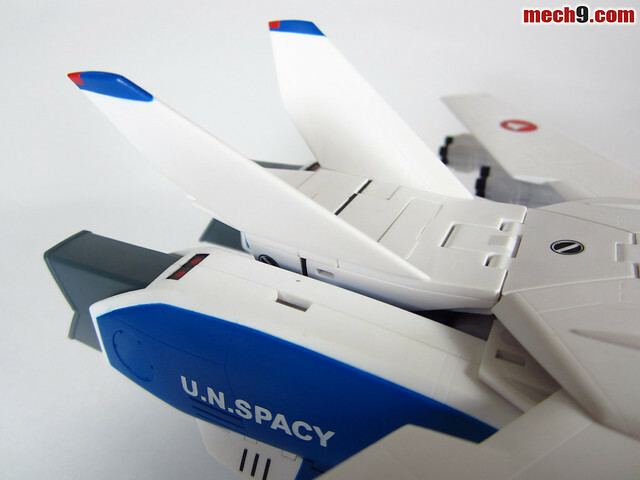 The main wings move independently of another, so you have to move both sides in order to symmetrically align them. 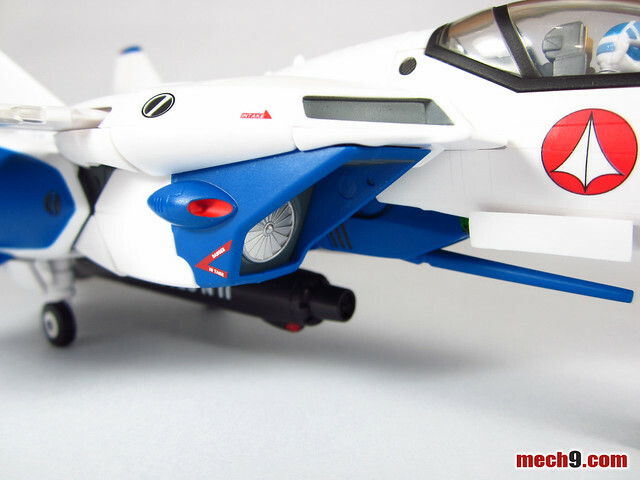 I always preferred to have the intake covers in even in Fighter mode. 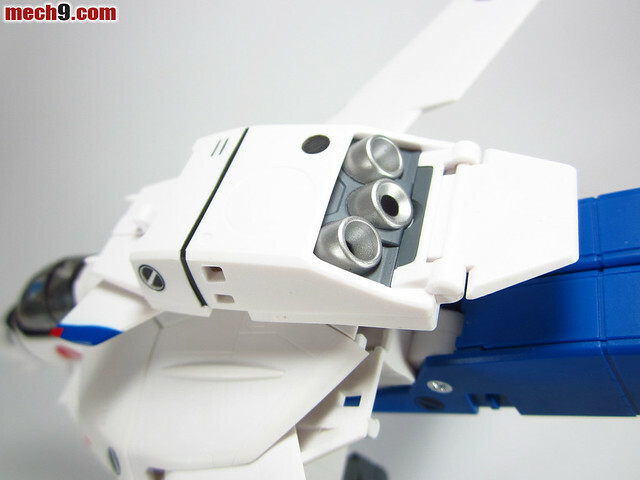 Underside shot showing the Gunpod attached in its compact configuration. 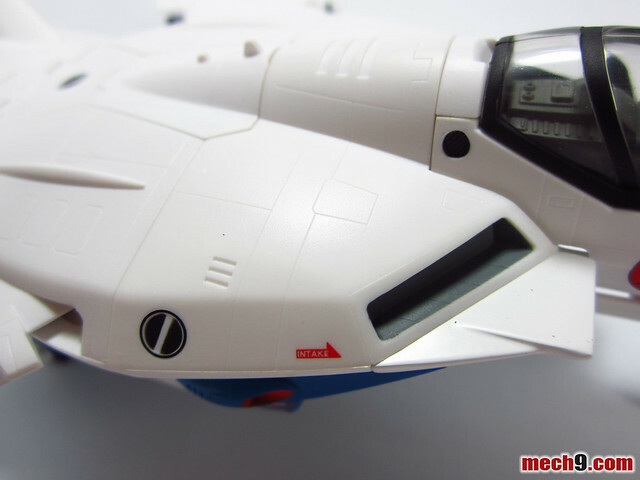 Noticeably missing from the tail is the "Prometheus" markings which denote which ship it comes from. 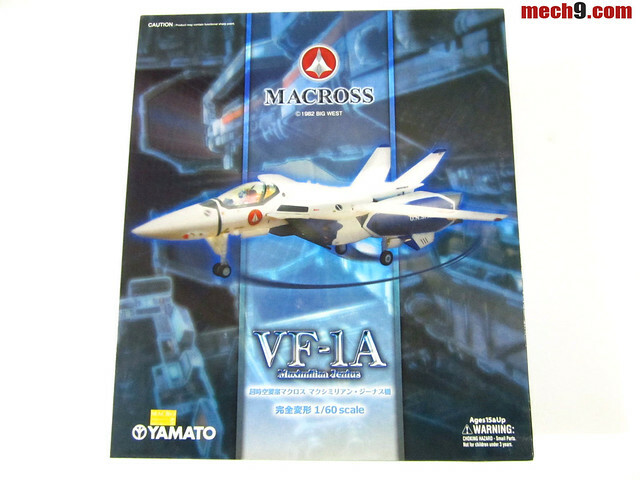 The VF-1A Production Version has this already labeled on but with this you will have to use the accompanying sticker sheet. 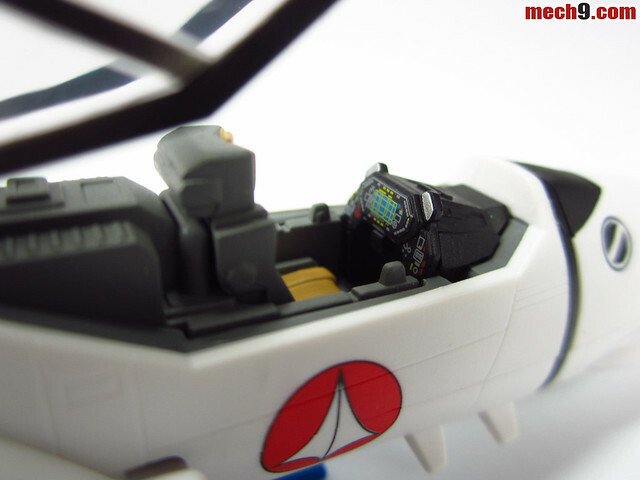 The Maximilian Jenius pilot figure easily fits in to the cockpit. 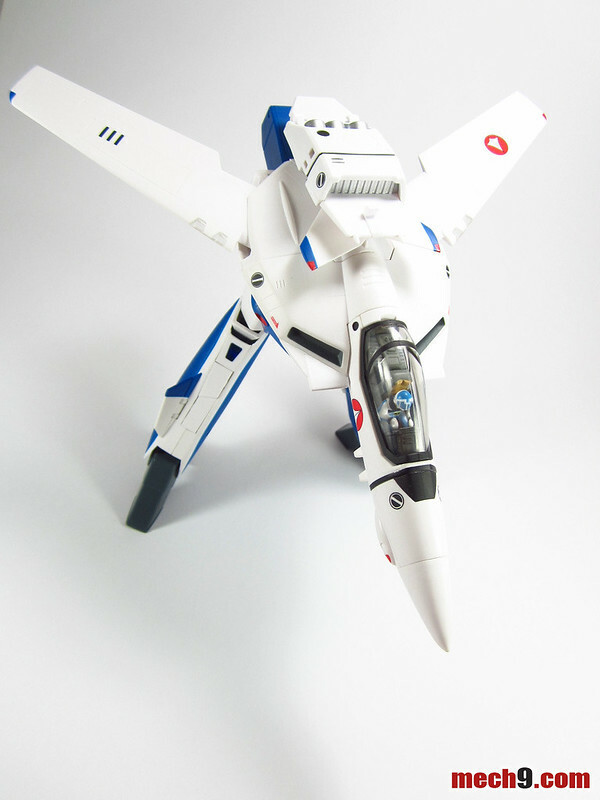 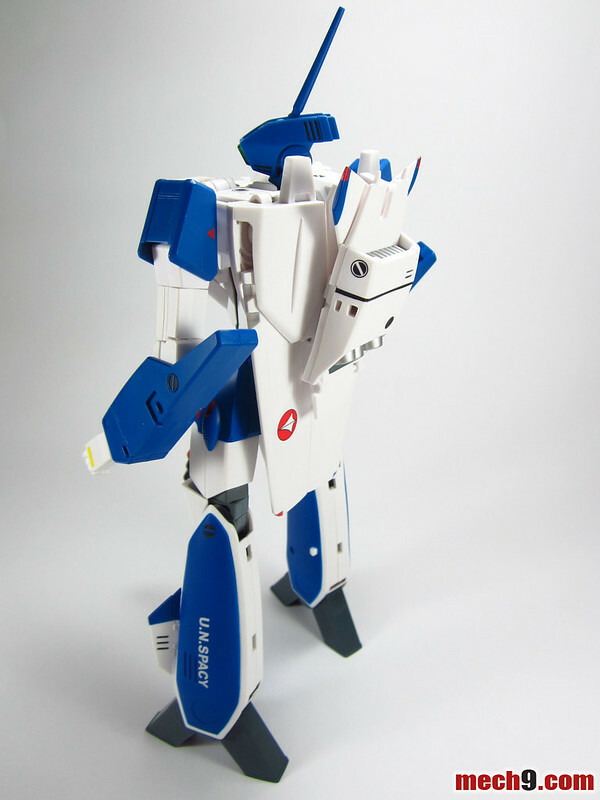 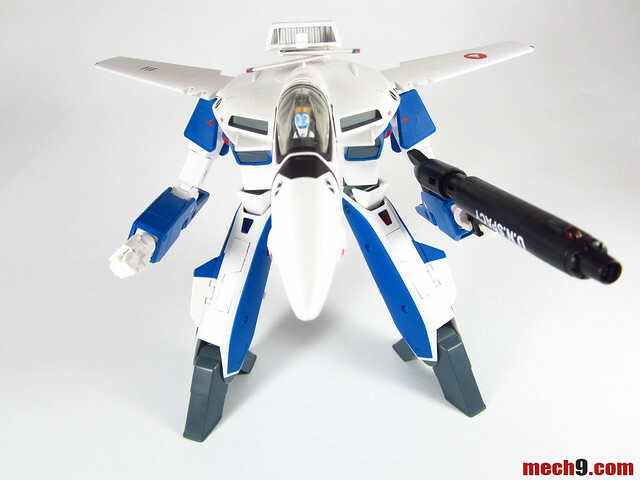 In Gerwalk mode, the VF-1A can be configured as either in the hands stowed postion or unstowed like as seen in the anime. 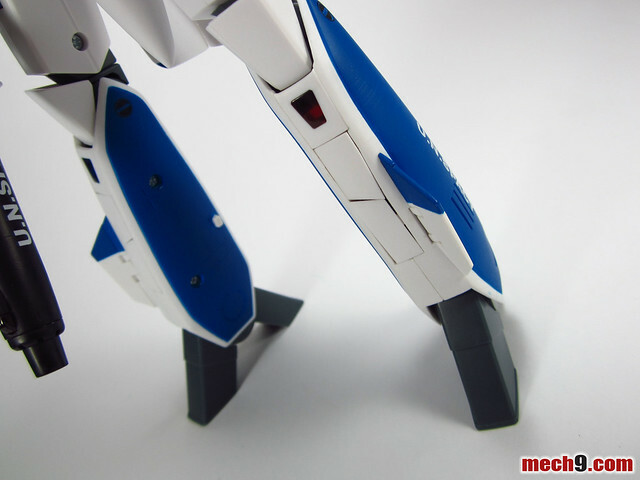 In Gerwalk mode, the lower leg is pulled out fully from the knee joint to facilitate bending forward. 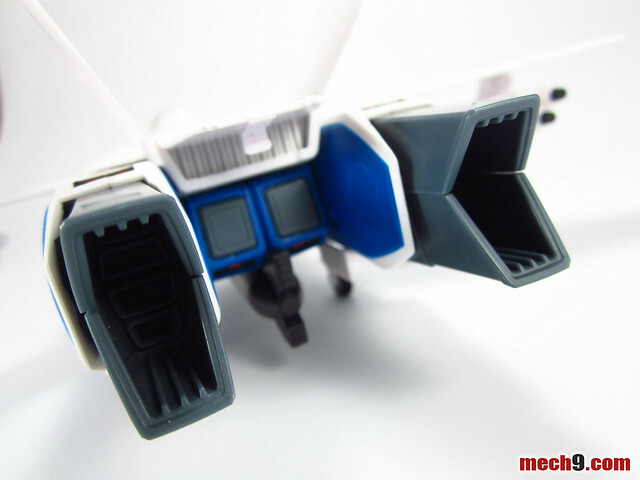 Close up shot of the thrusters of the backpack during gerwalk mode. 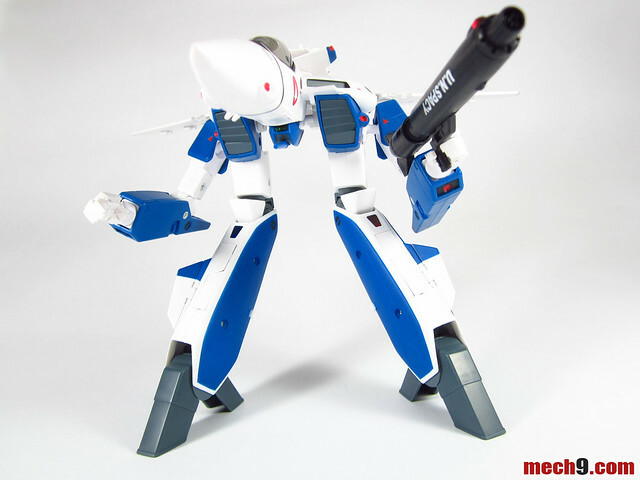 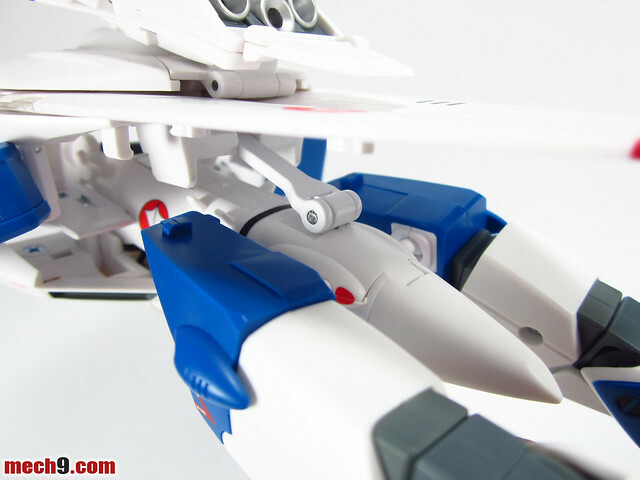 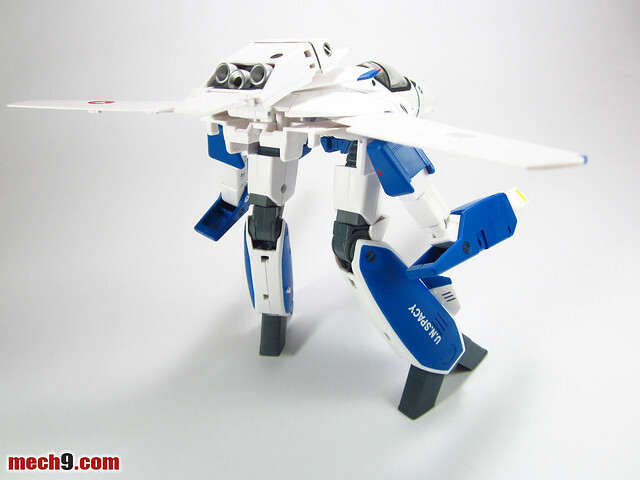 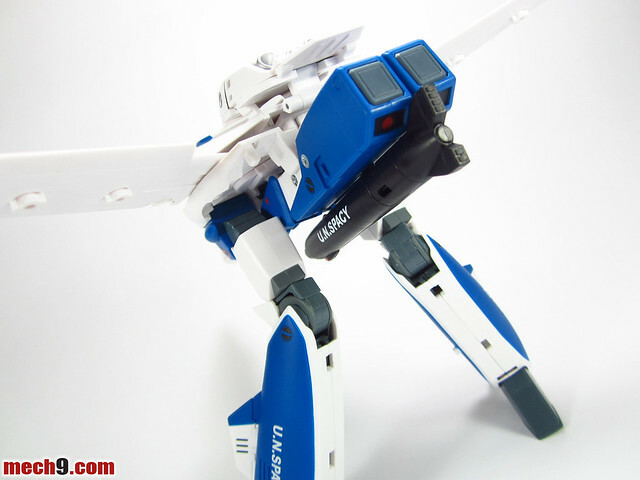 Shots of the VF-1A in Gerwalk Mode with the arms in the unstowed position. 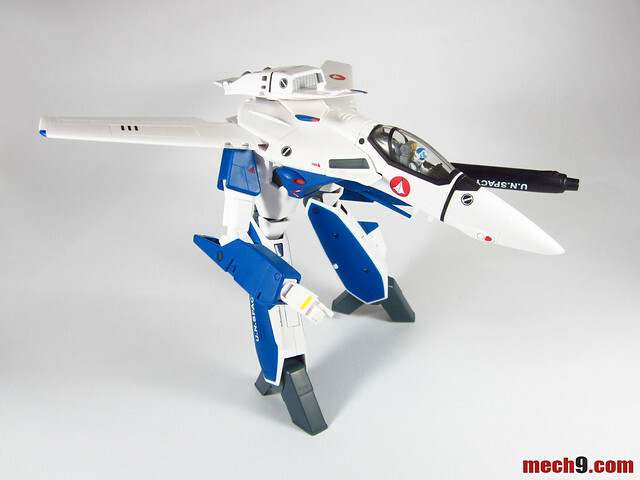 My most favorite side of the VF-1A has always been Battroid mode. 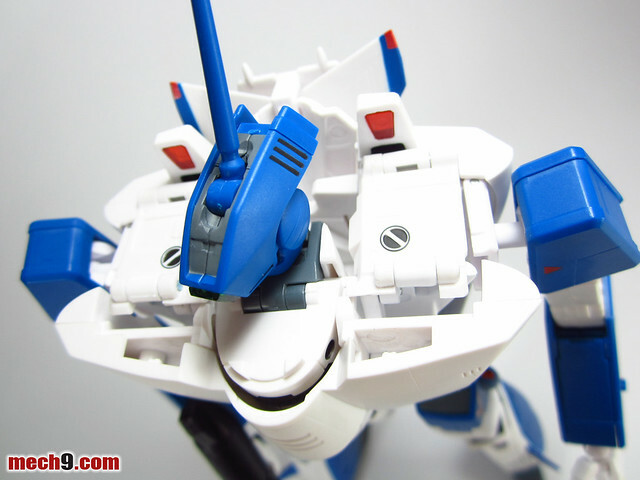 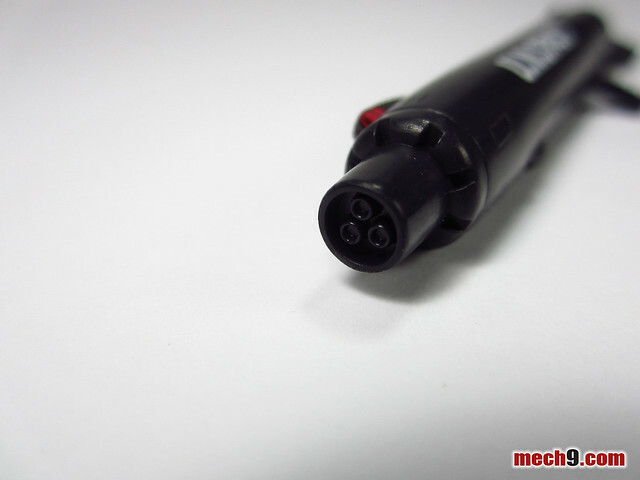 I love the simple design of the head which gives credence to the unit being a mass produced version. 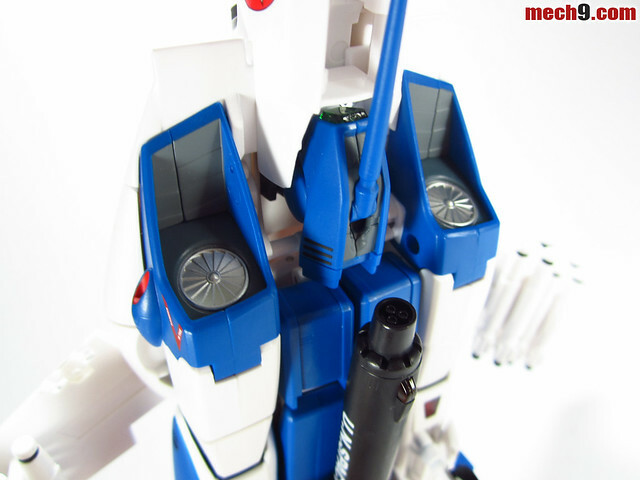 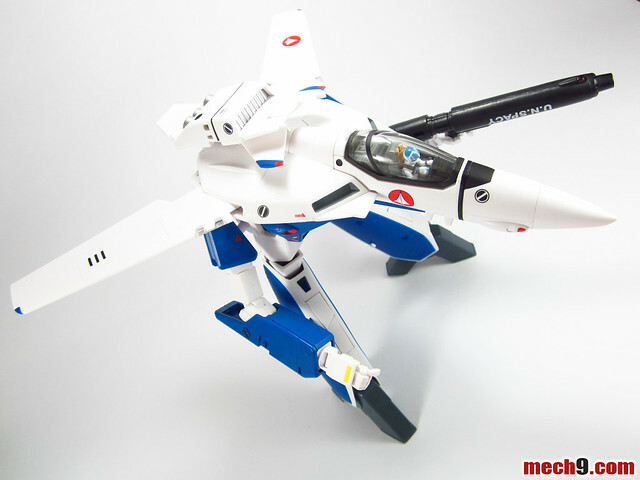 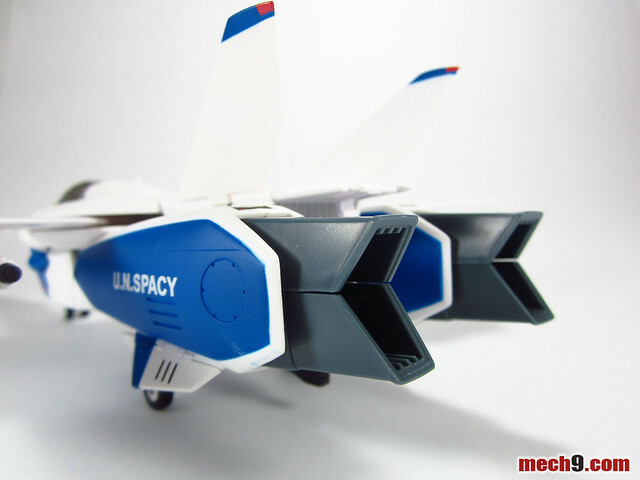 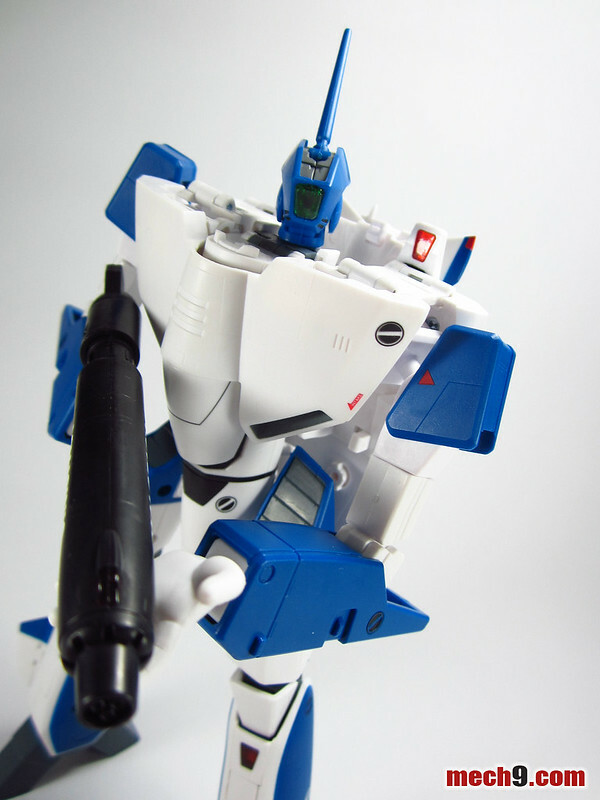 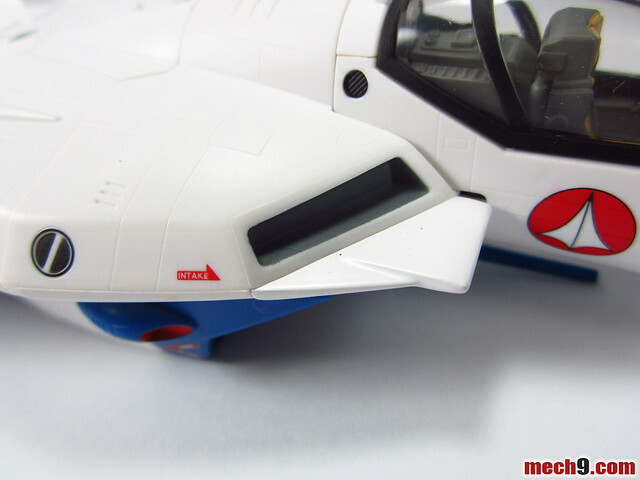 Just some more miscellaneous shots of features of the 1/60 VF-1A Maximlian Jenius TV version. 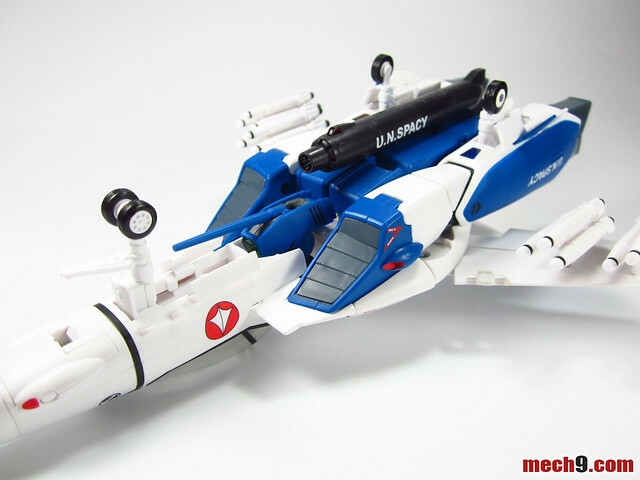 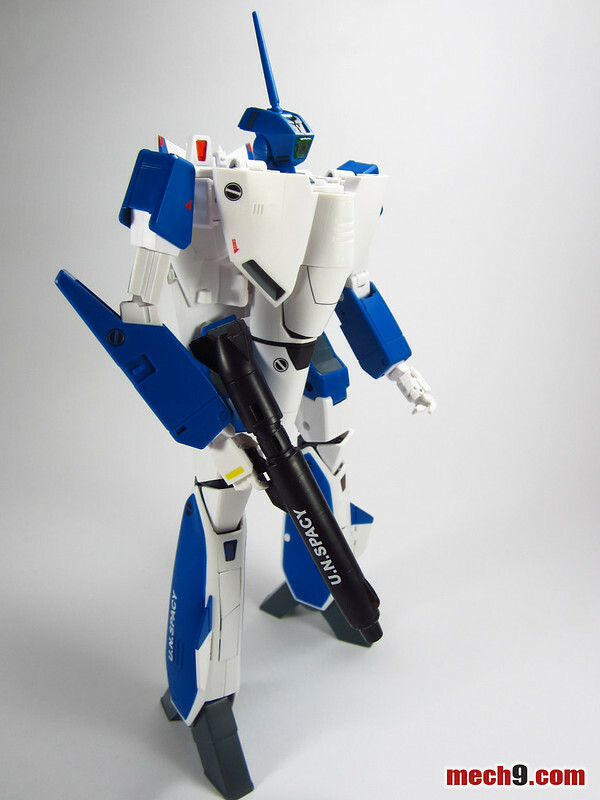 One of the unique features of the 1/60 VF-1 line of Yamato Toys is that the front fuselage can be detached from the frame and attached to the arm of another VF-1. 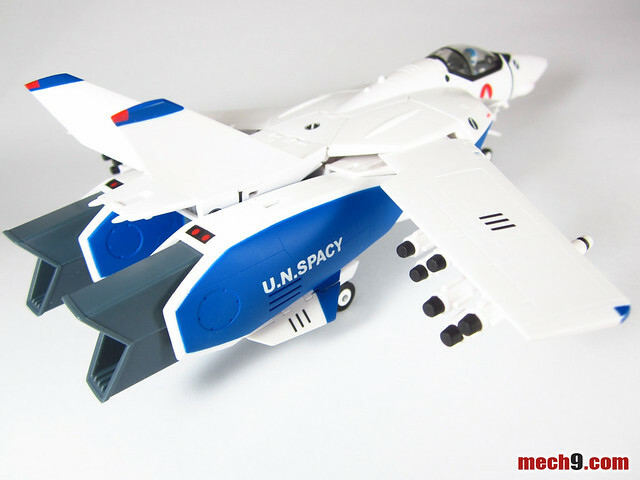 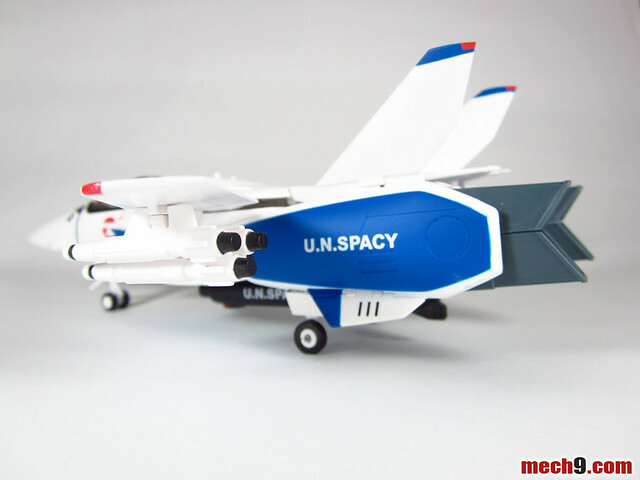 This is so that it can recreate the escape pod scene in the anime. 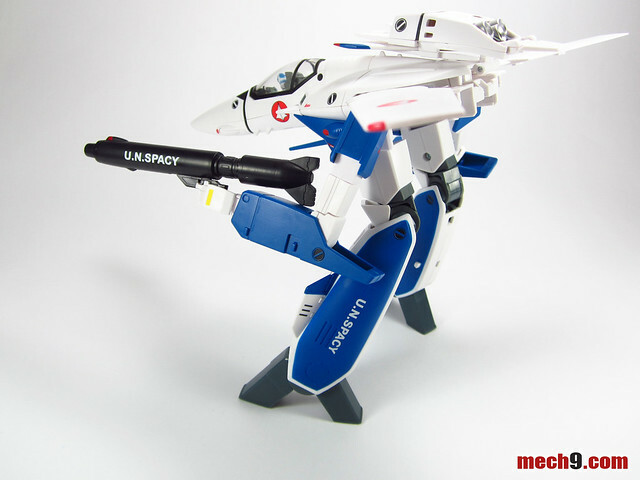 I only learned recently that those iconic round things with the "I" in the middle that liter around the fuselage of the VF-1's are vernier thrusters used for maneuvering in the vacuum of space. 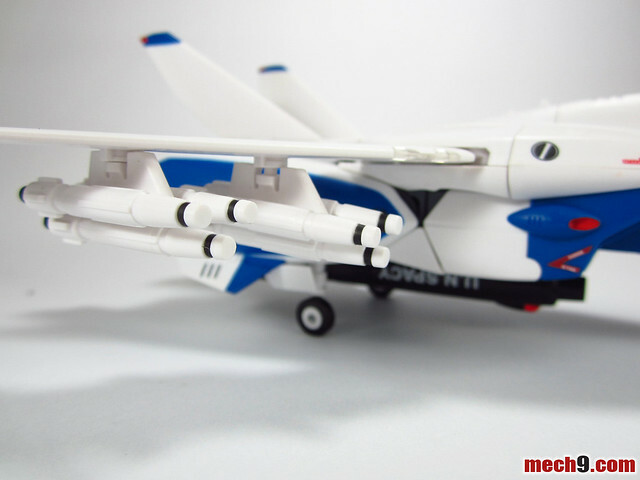 Underside of the fuselage with gunpod and missiles attached. 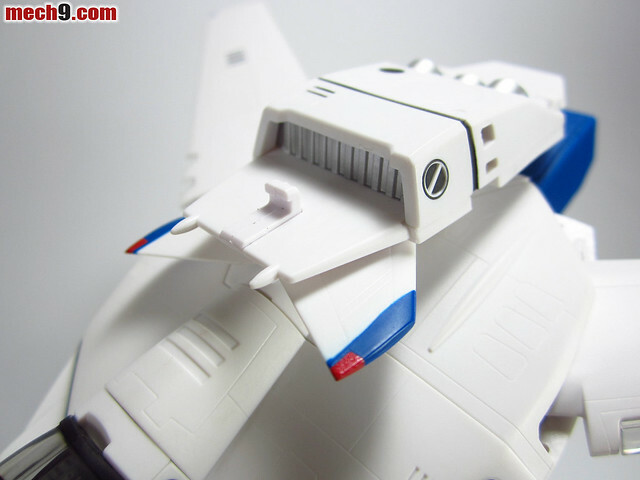 The part of the nose of the plane where the crotch joint will be tucked in during battroid mode.